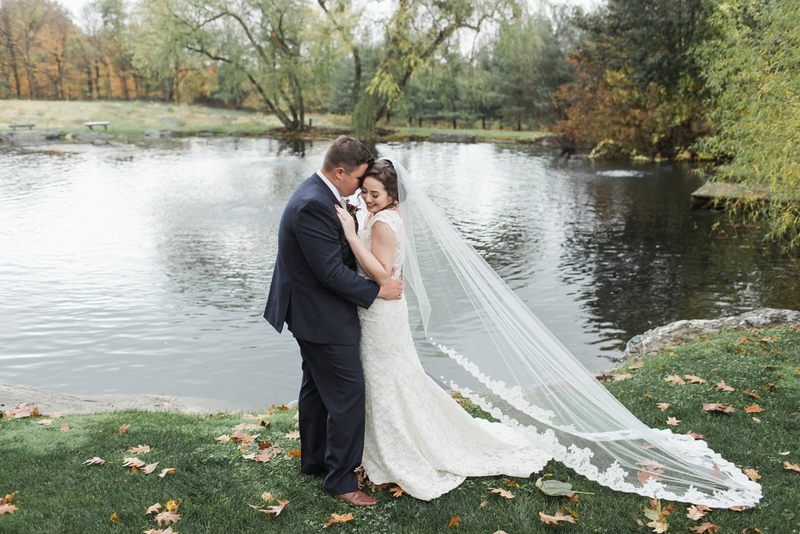 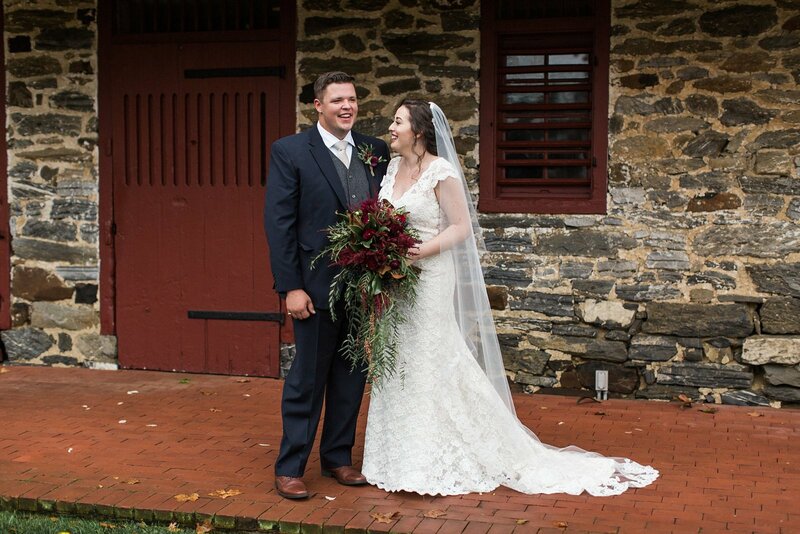 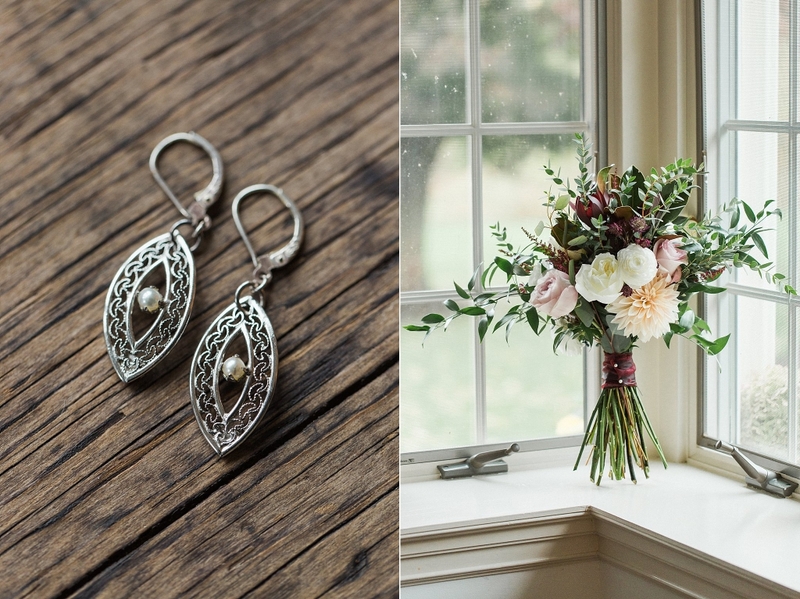 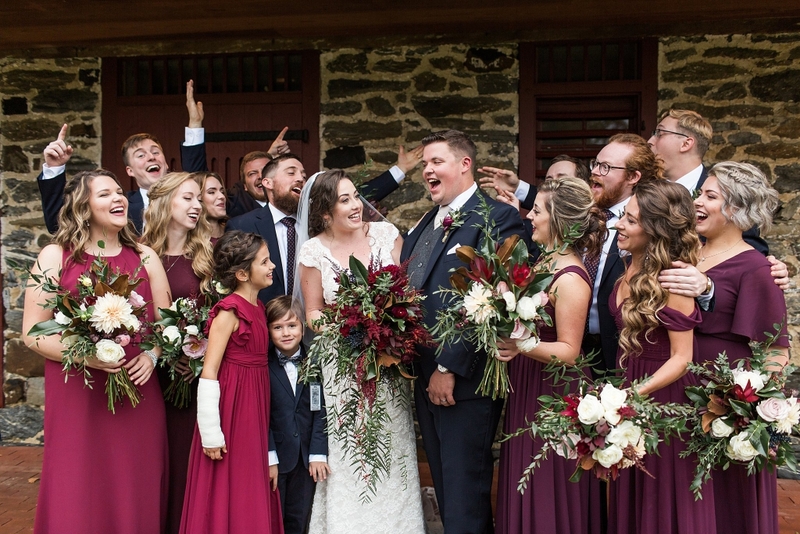 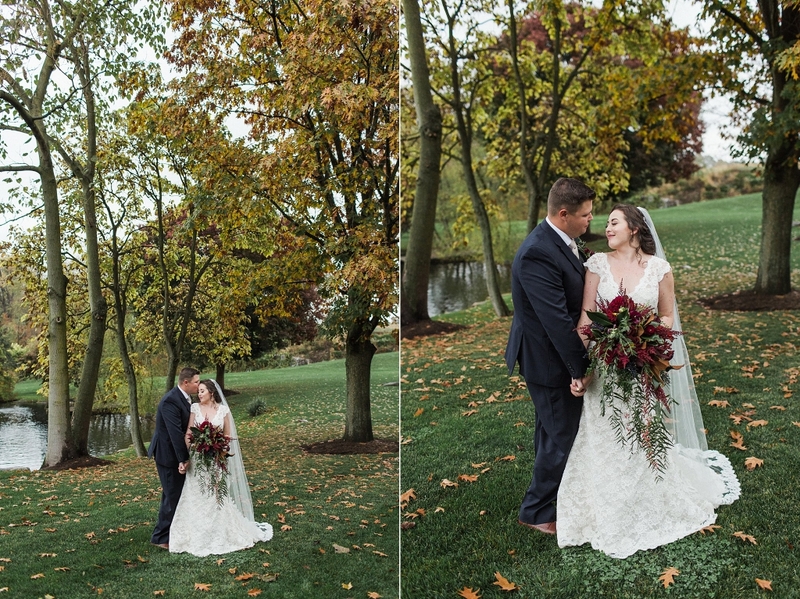 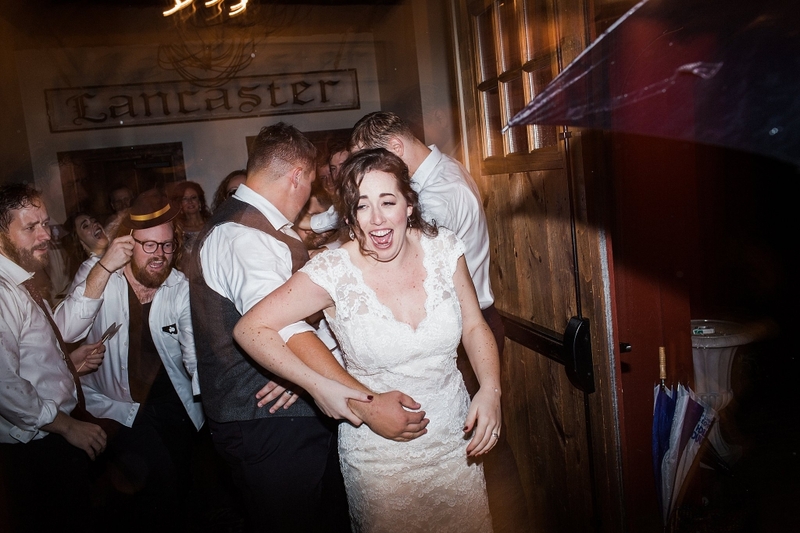 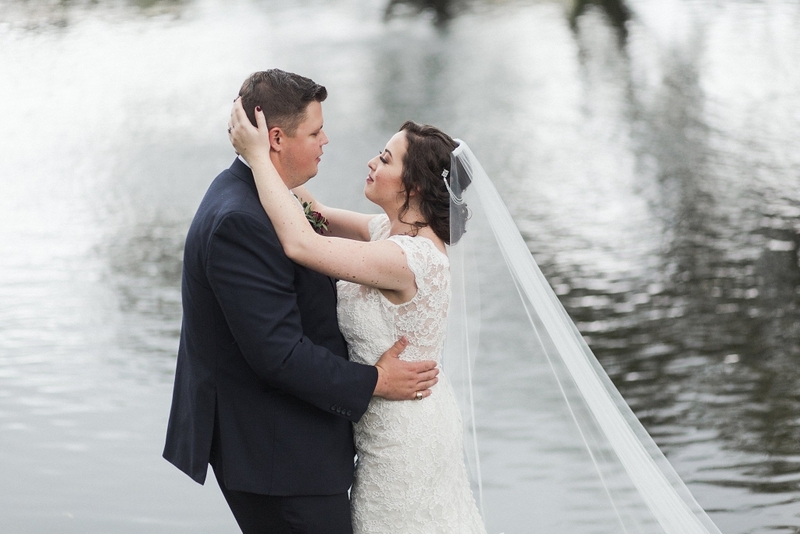 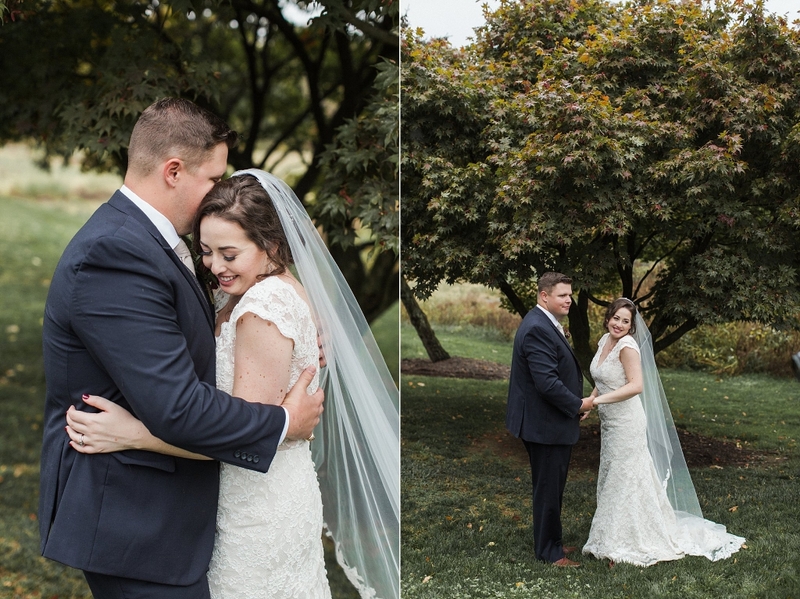 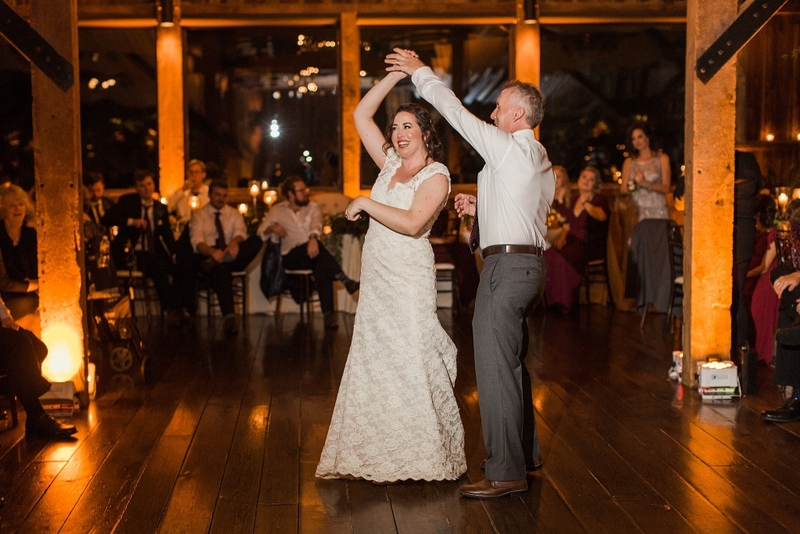 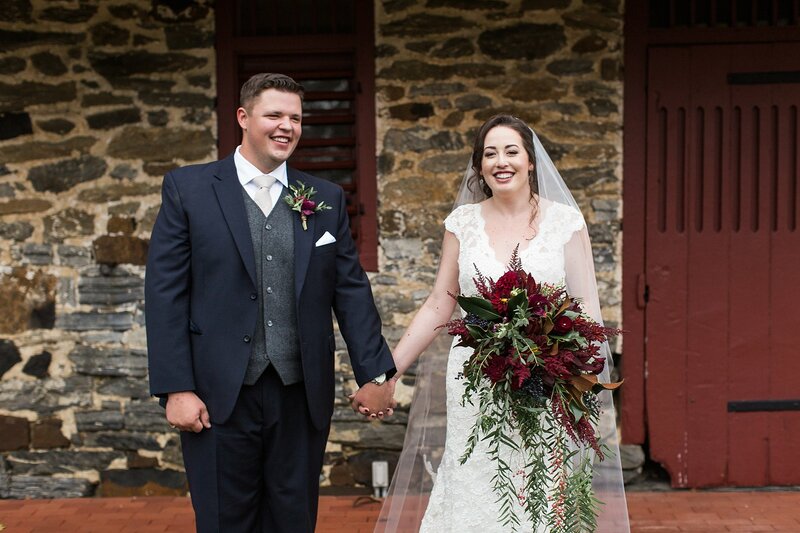 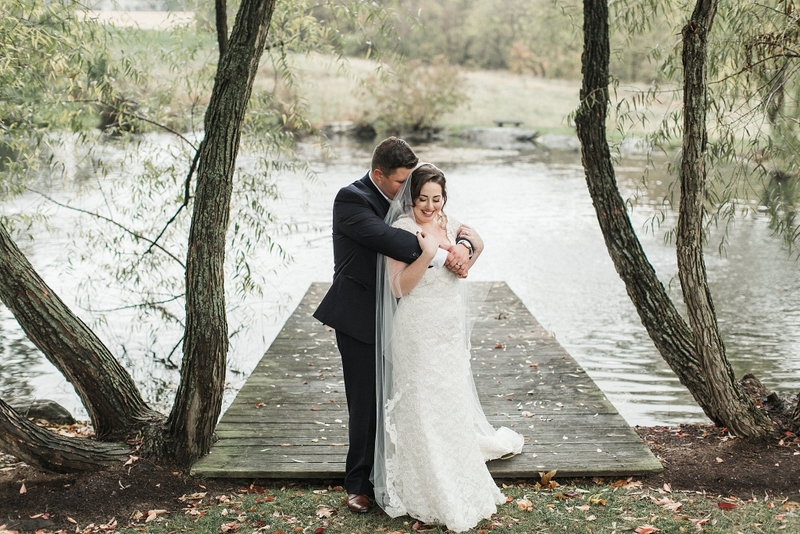 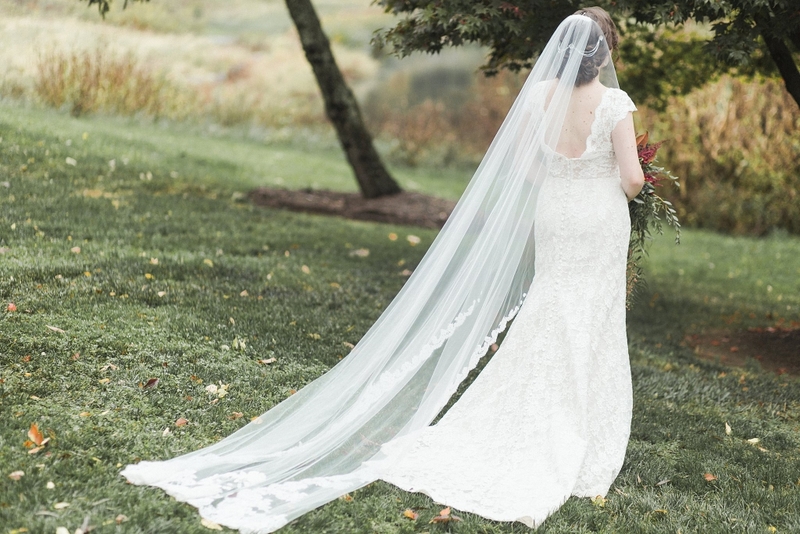 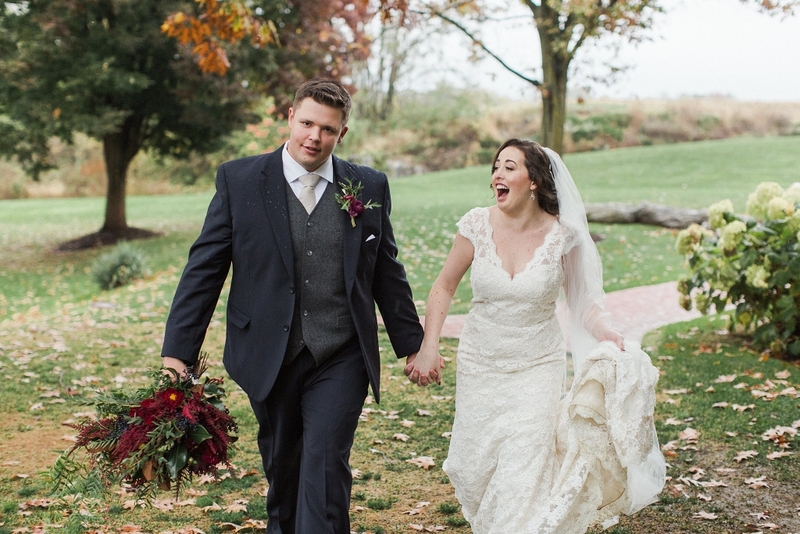 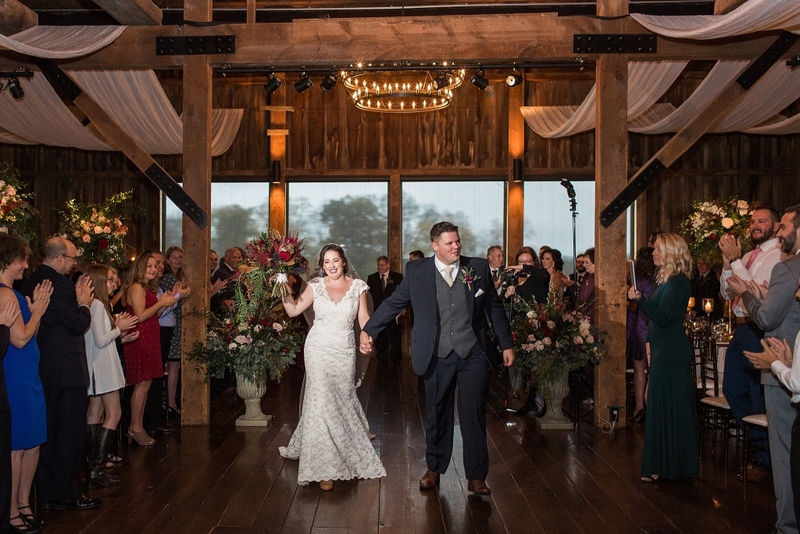 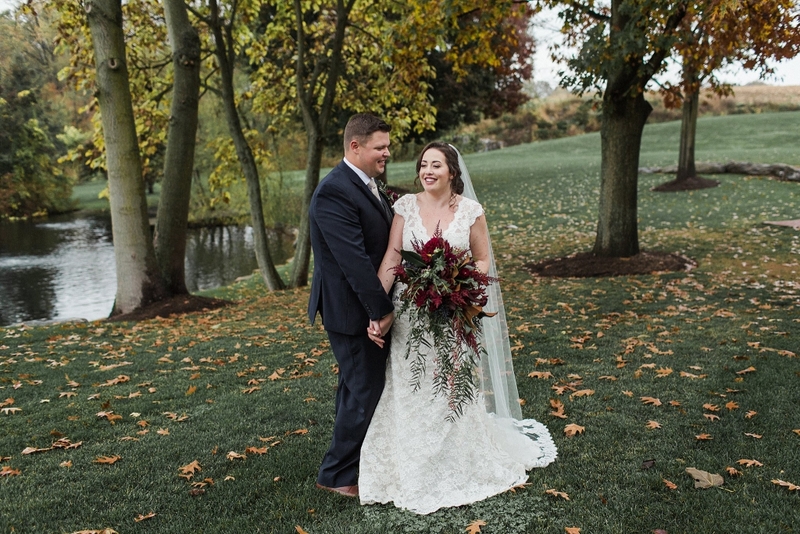 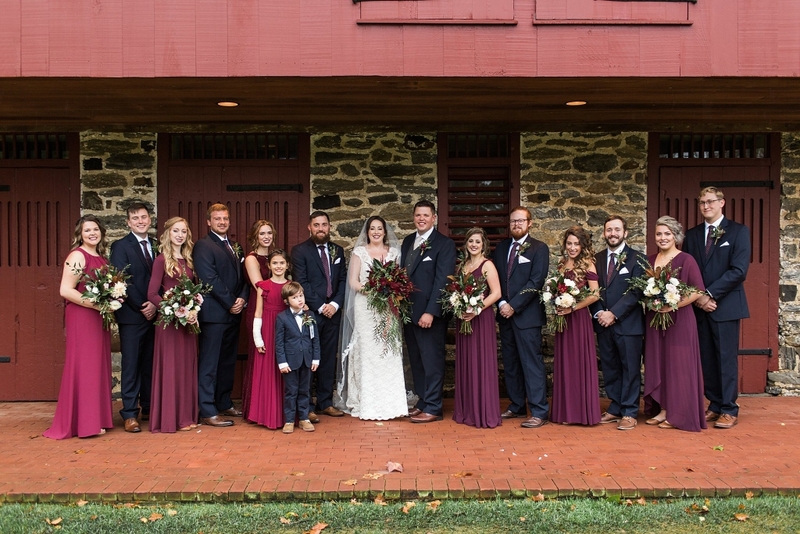 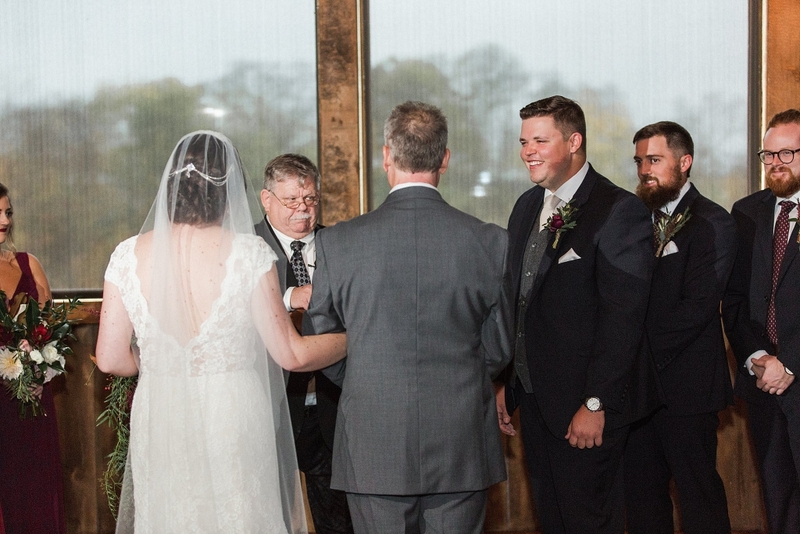 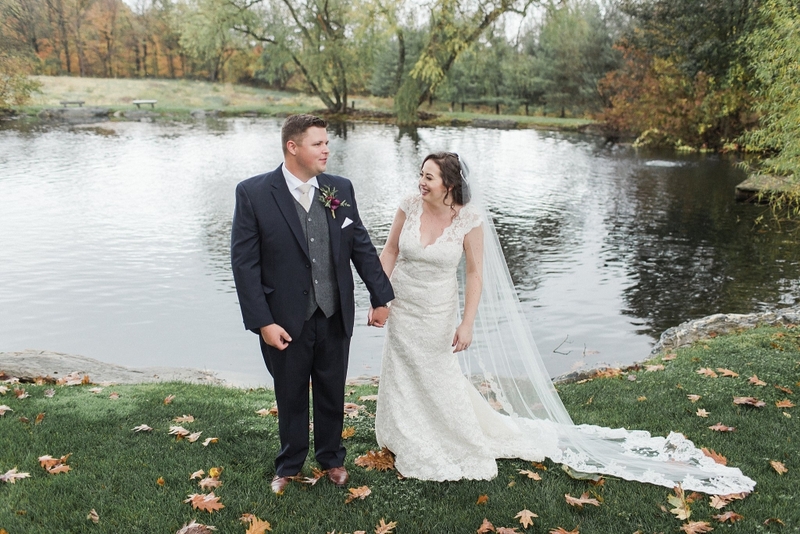 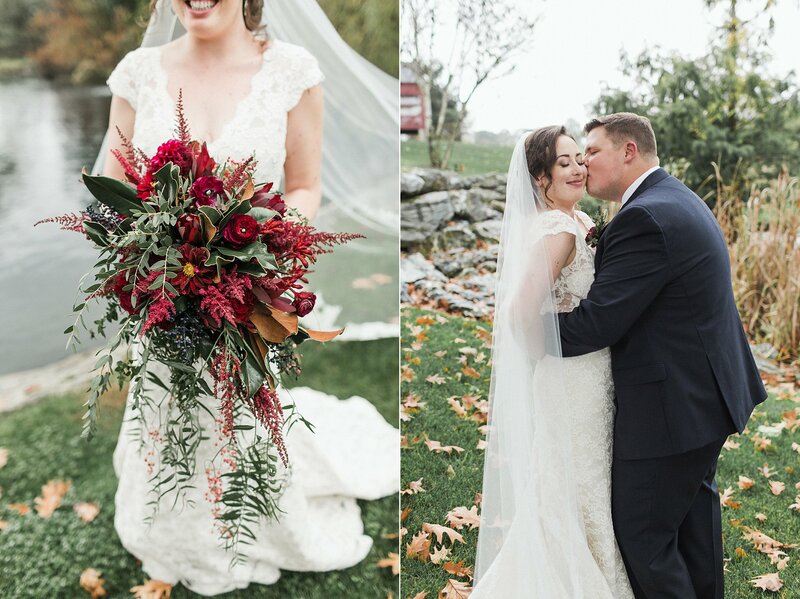 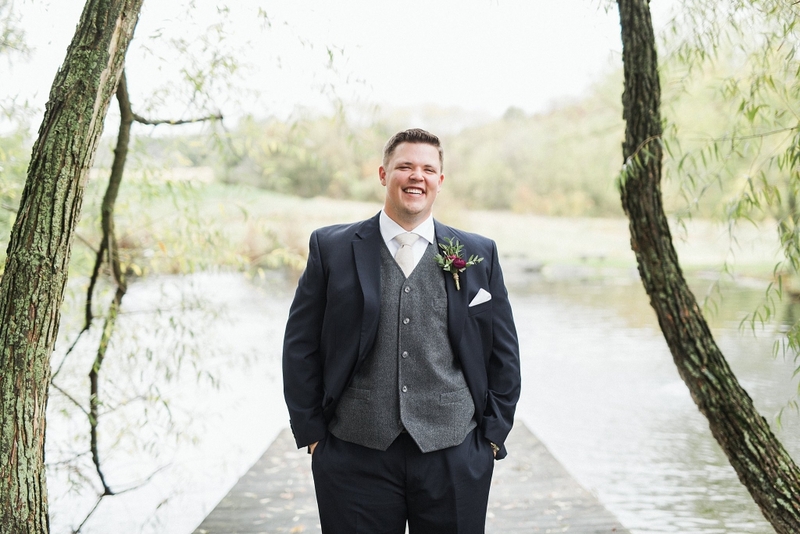 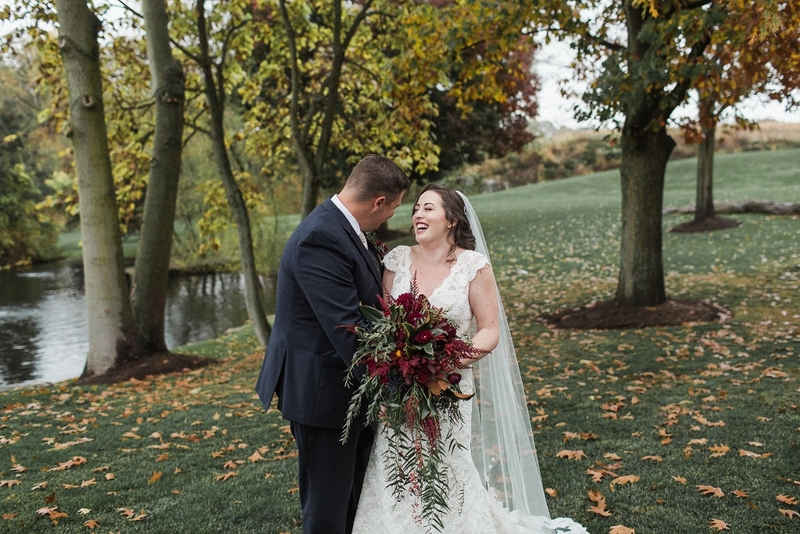 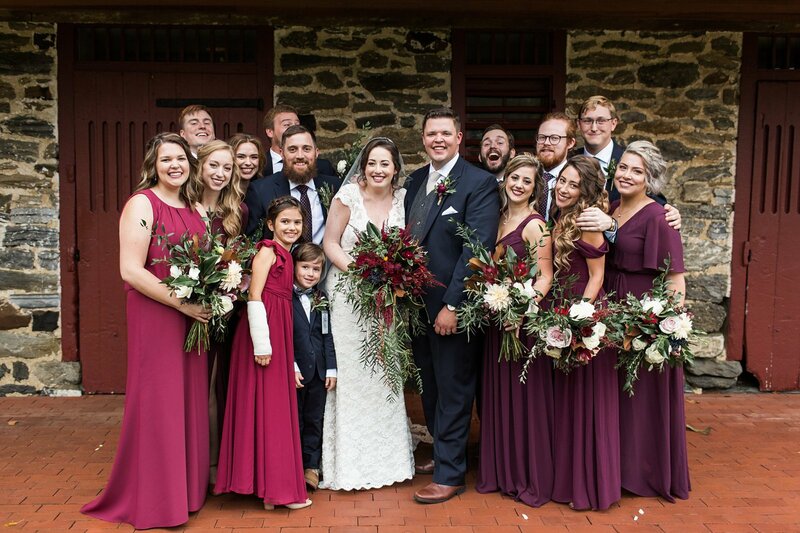 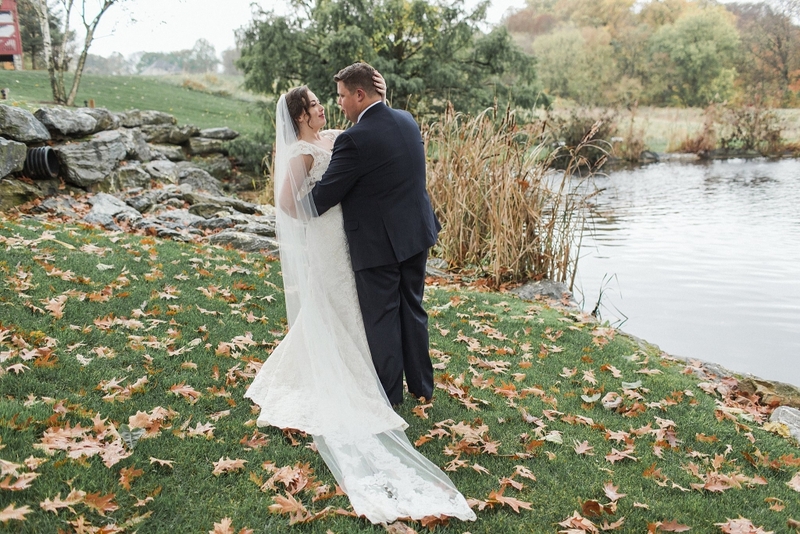 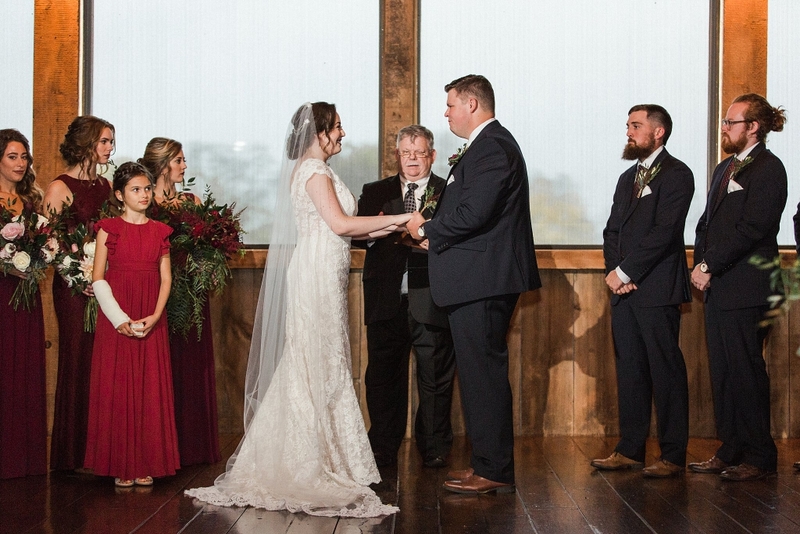 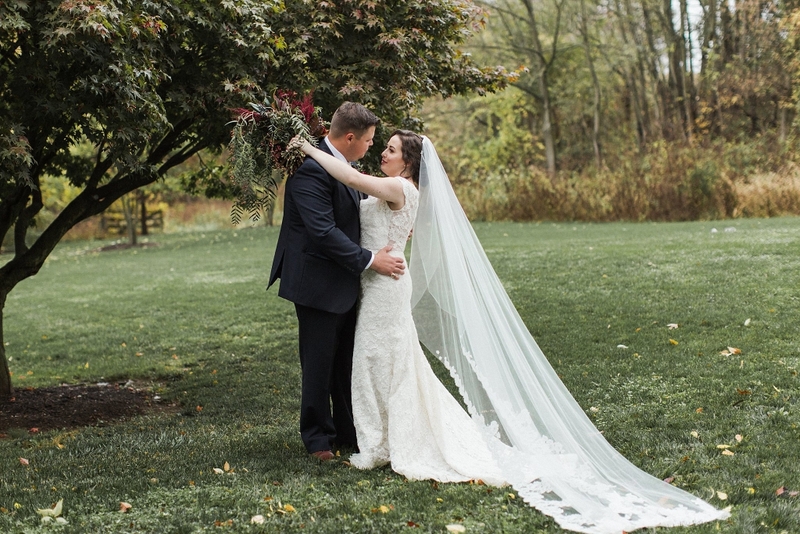 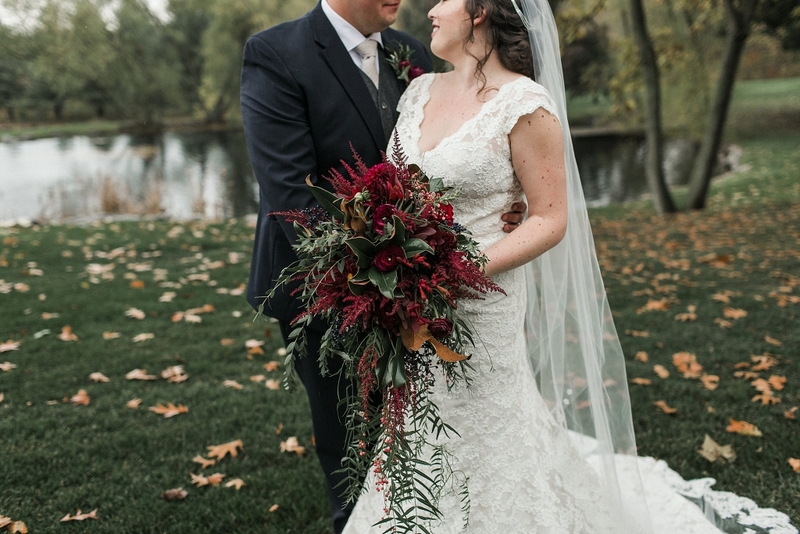 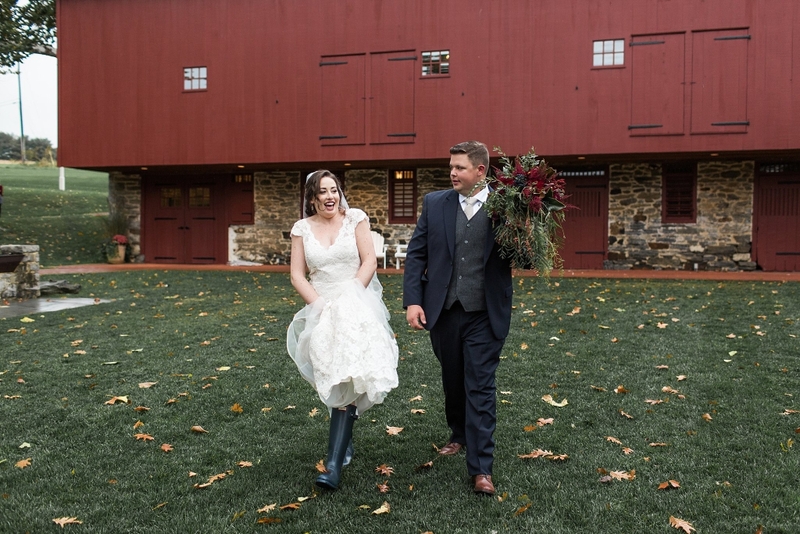 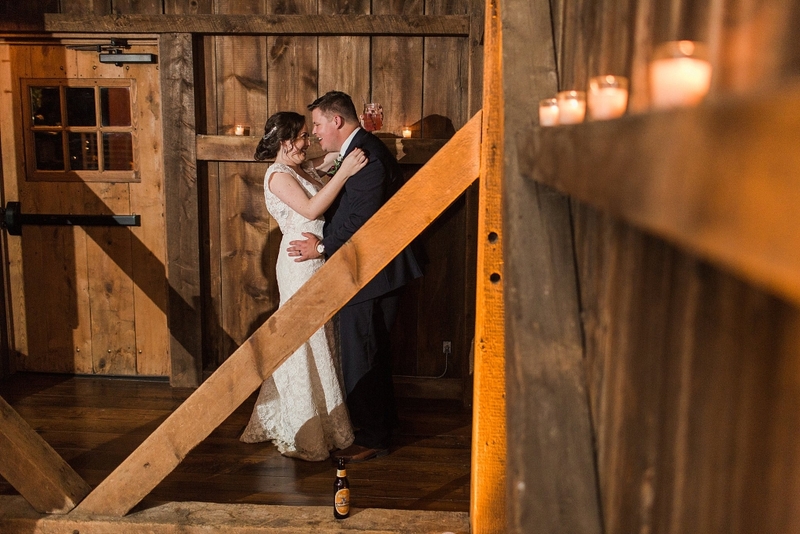 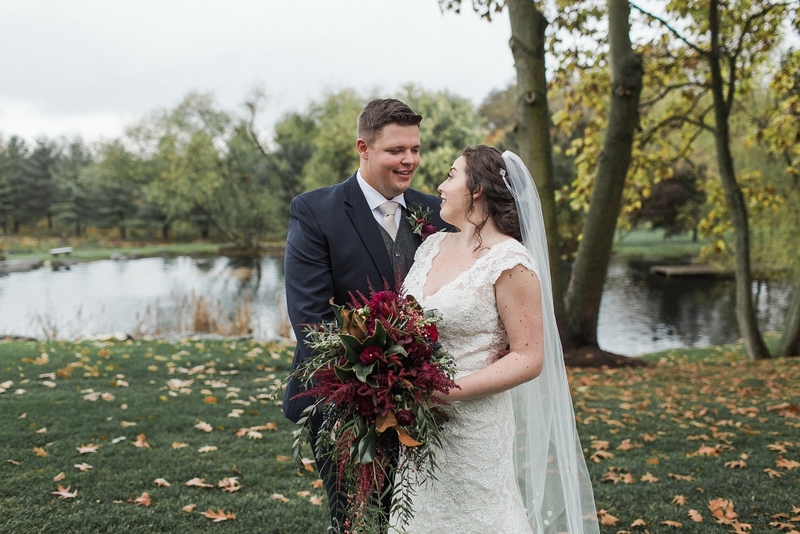 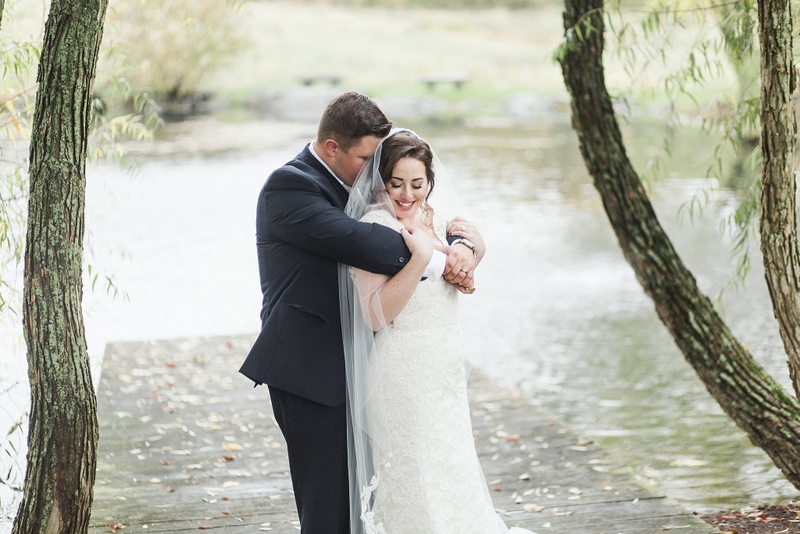 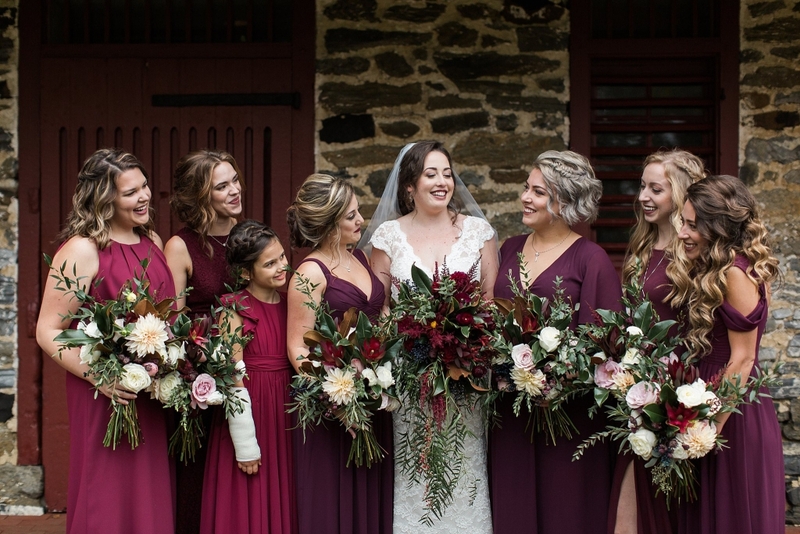 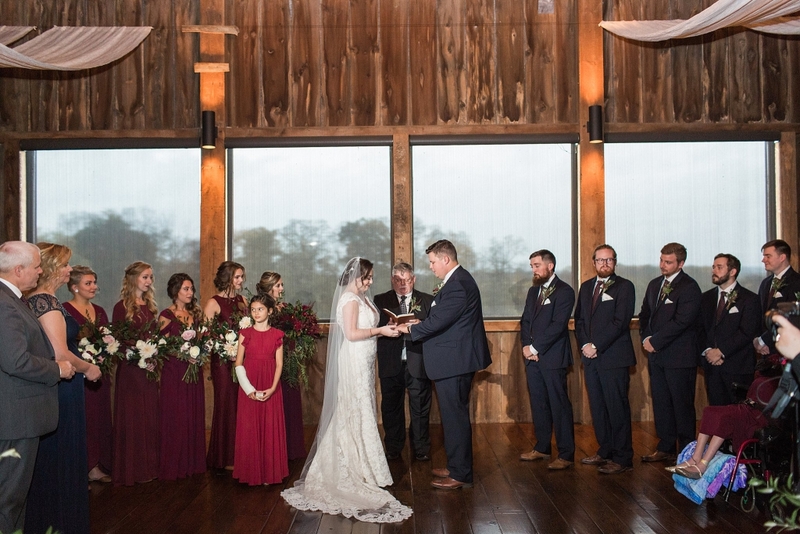 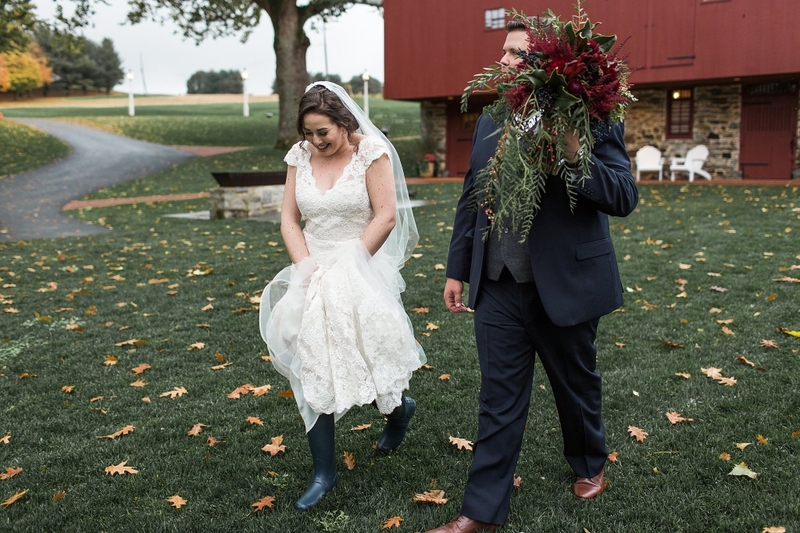 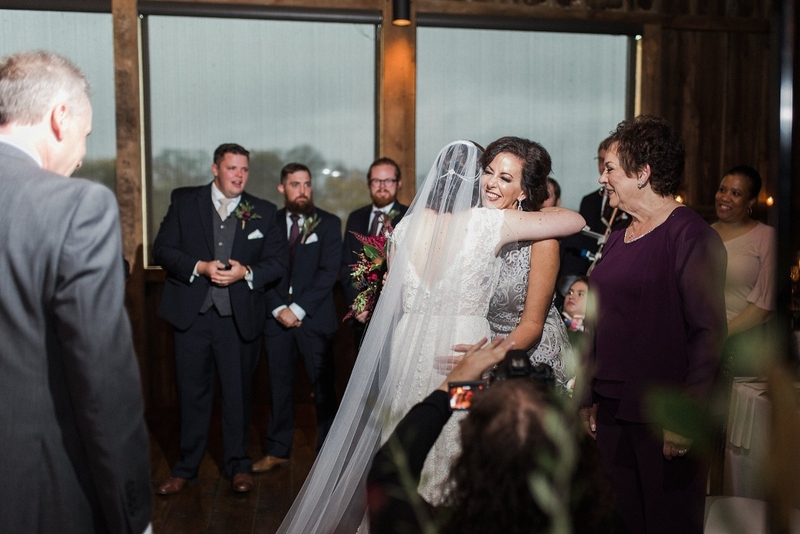 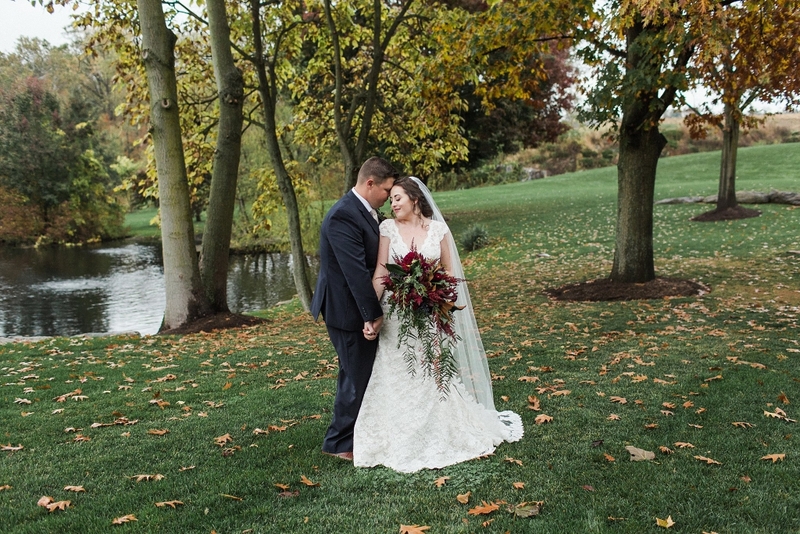 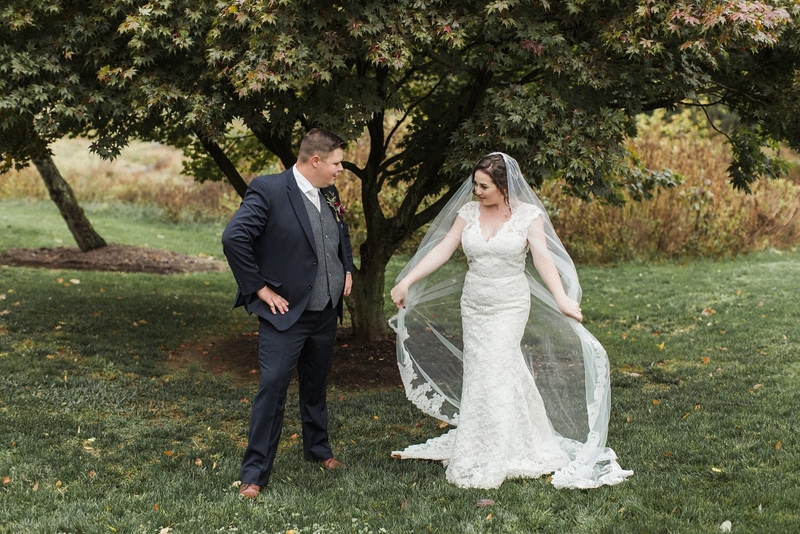 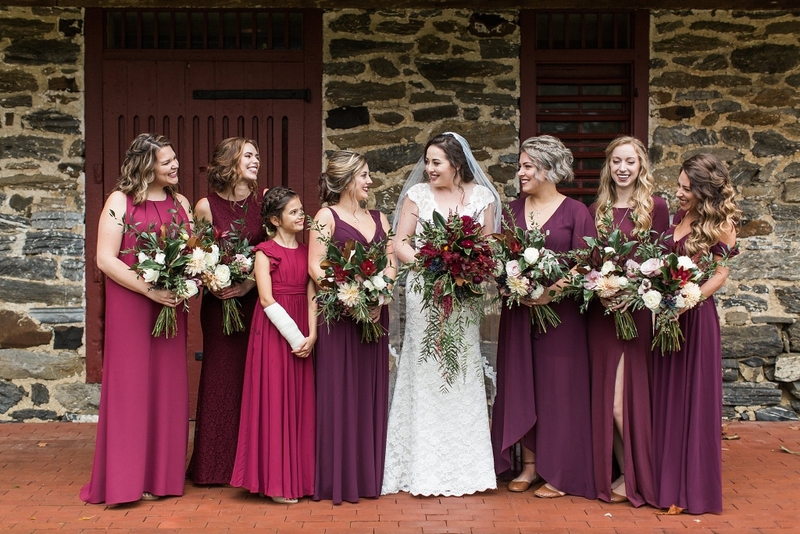 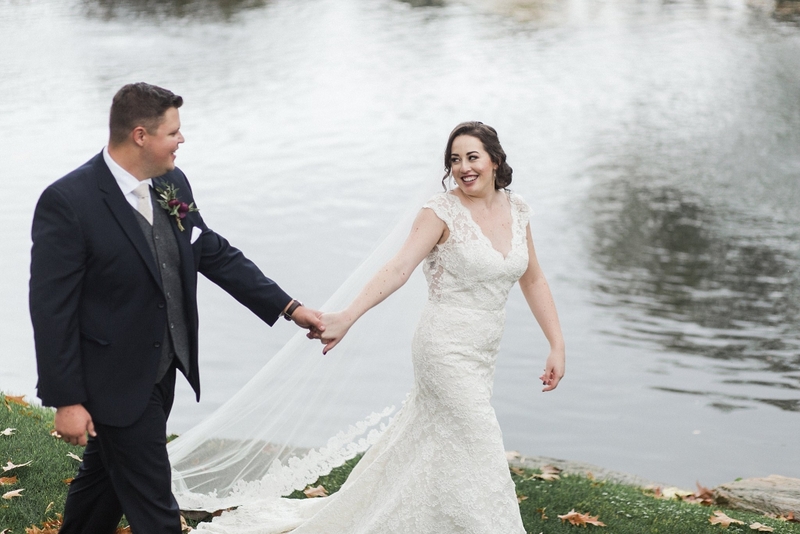 Emily and Bob were married on a beautiful, rain soaked day in the rolling hills of Lancaster, PA. One of my favorite wedding venues, The Farm at Eagles Ridge, was the perfect setting for these two to become husband and wife. 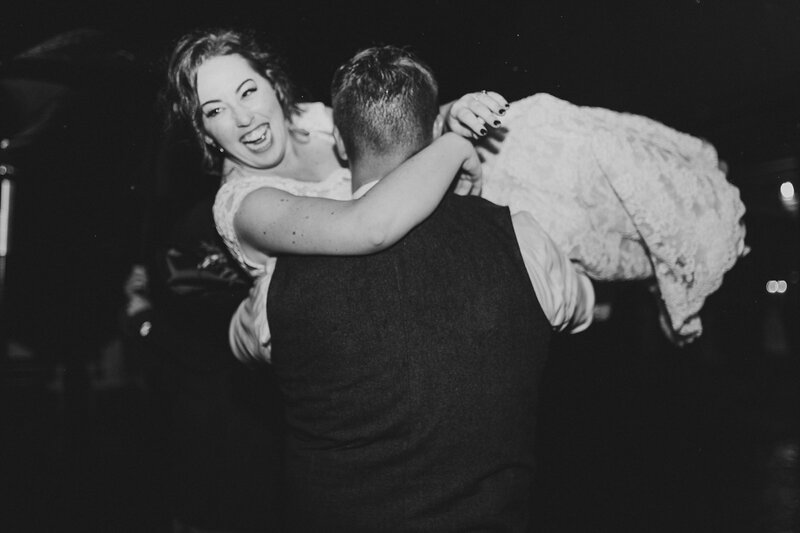 They were never more comfortable than when they were together. 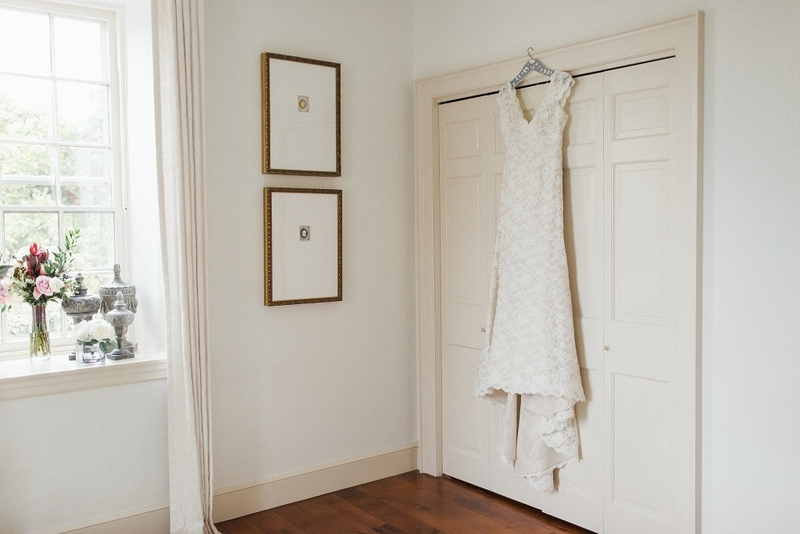 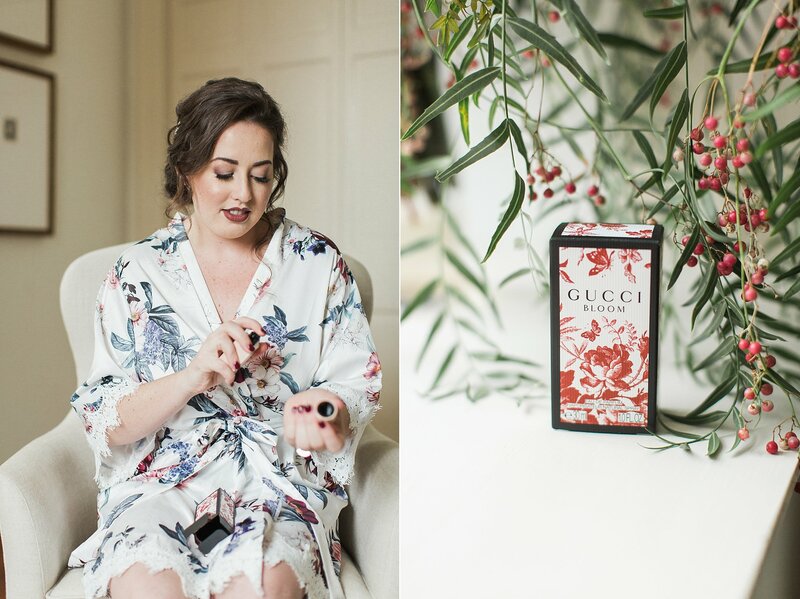 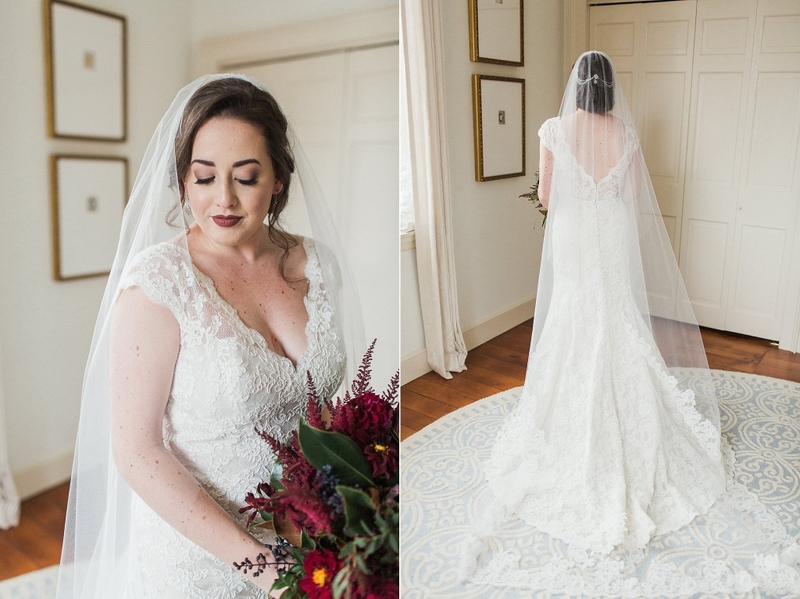 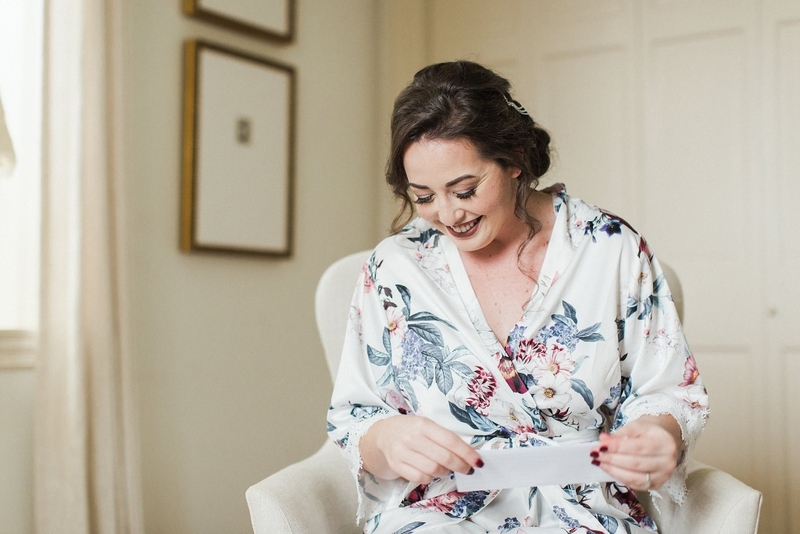 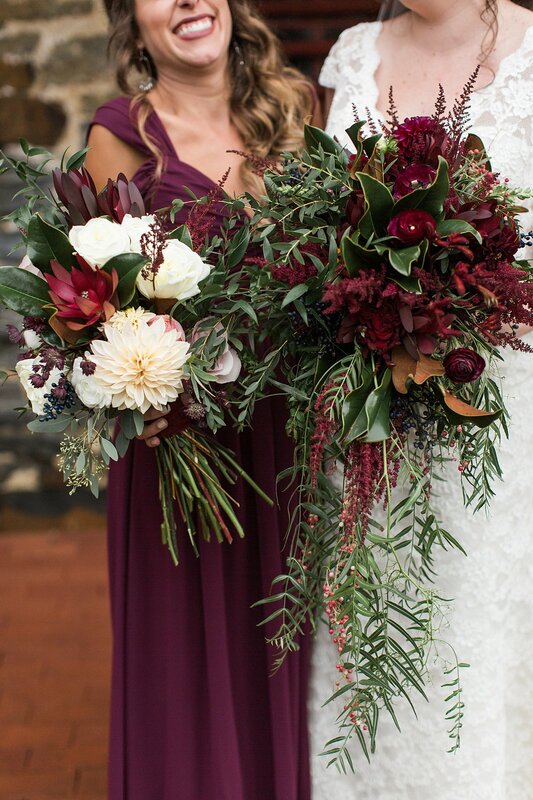 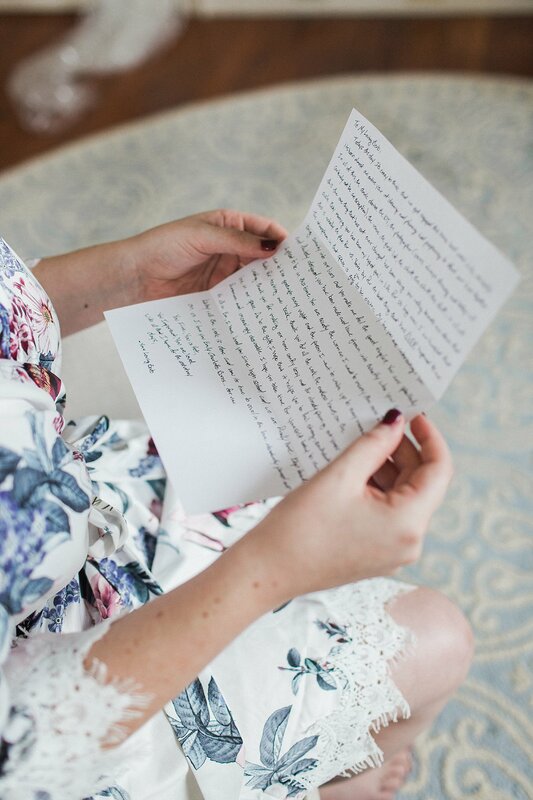 Emily prepped in the gorgeous farmhouse on the property, her mother helped her into her dress from Elizabeth Johns. 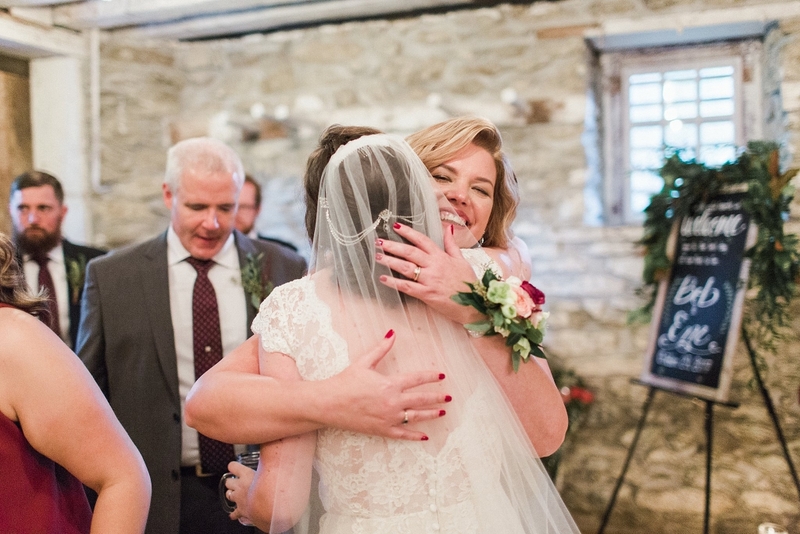 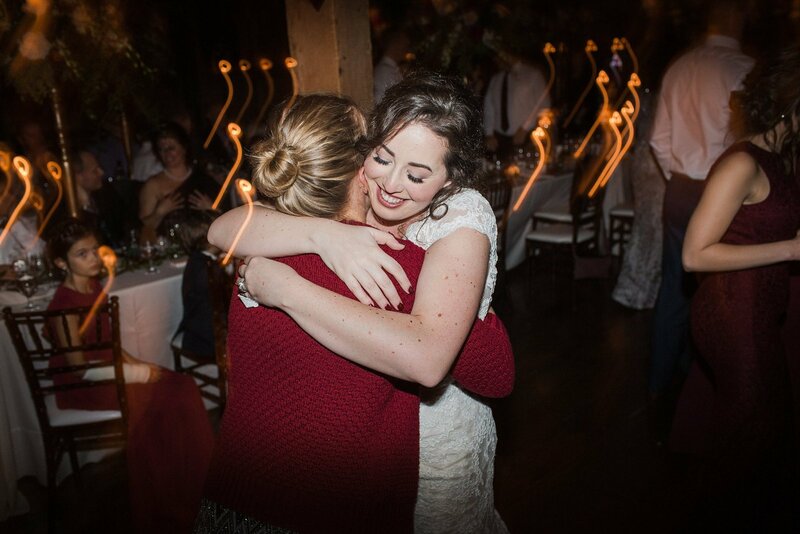 Emily and her mother share such a beautiful bond. 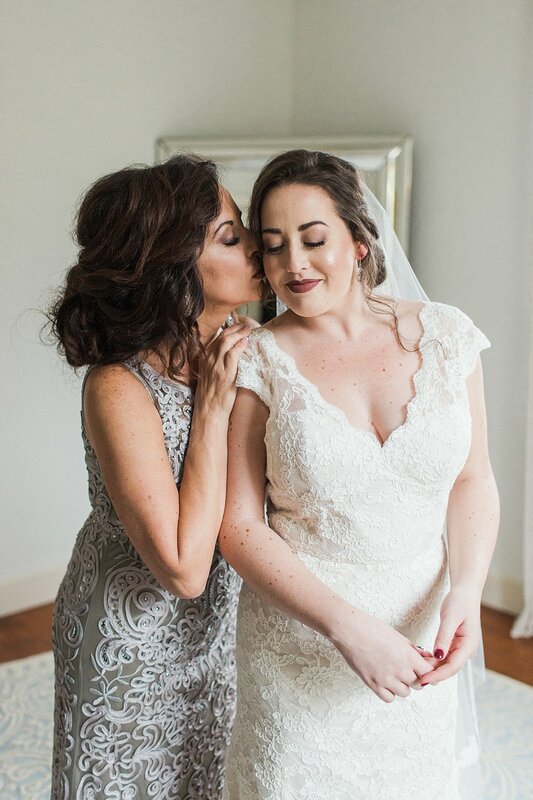 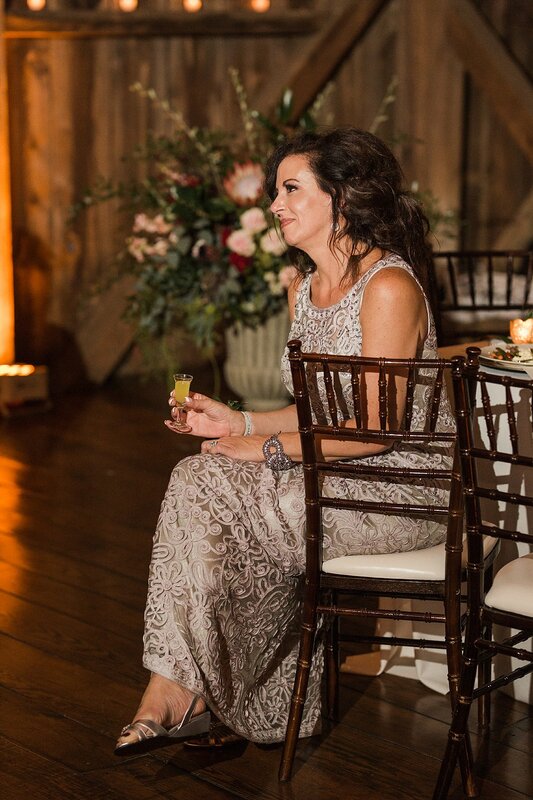 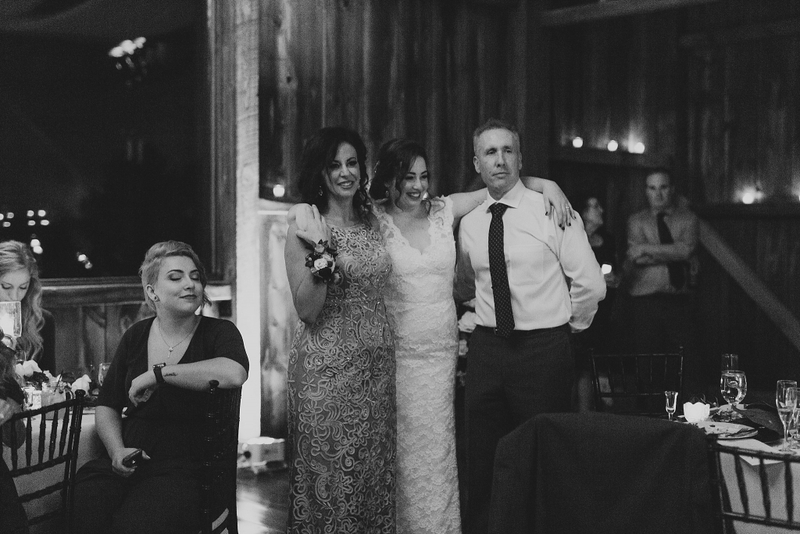 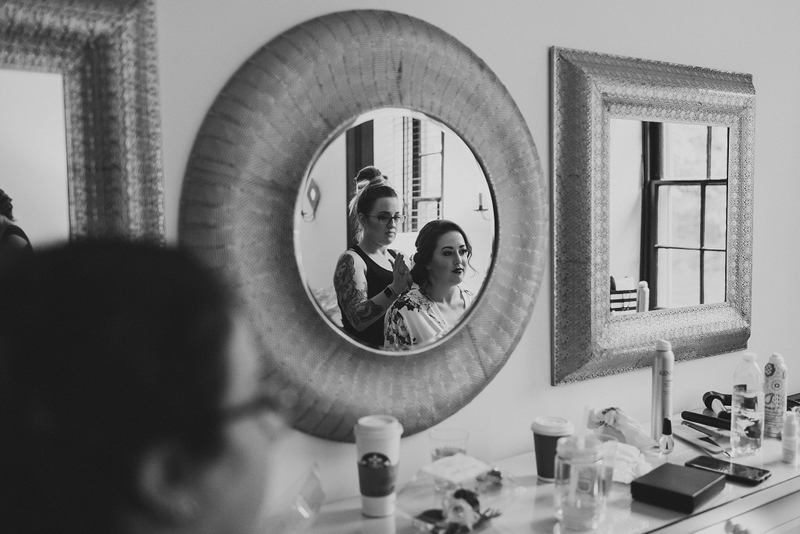 As her mother finished zipping up her dress, Emily looked so radiant. 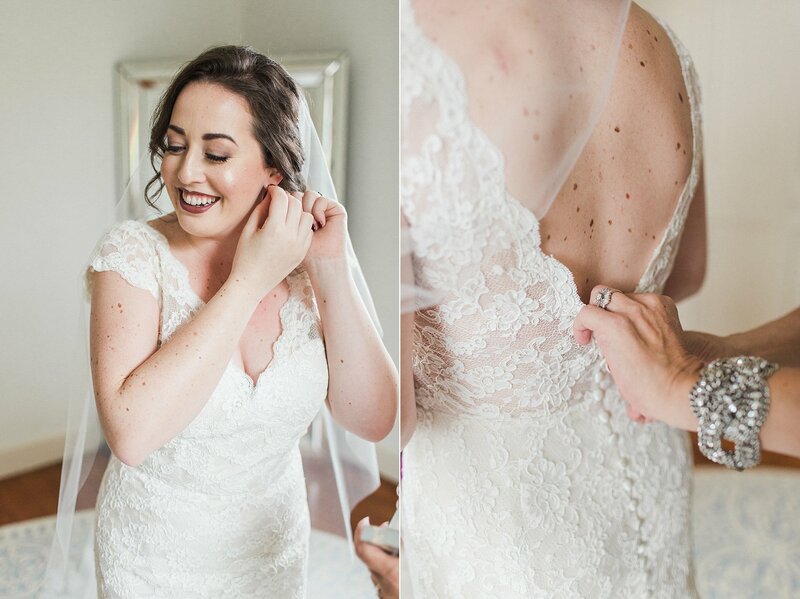 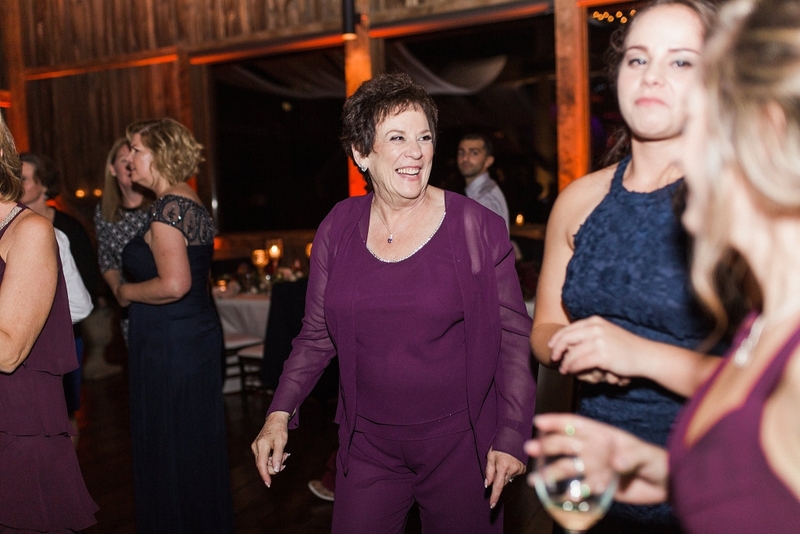 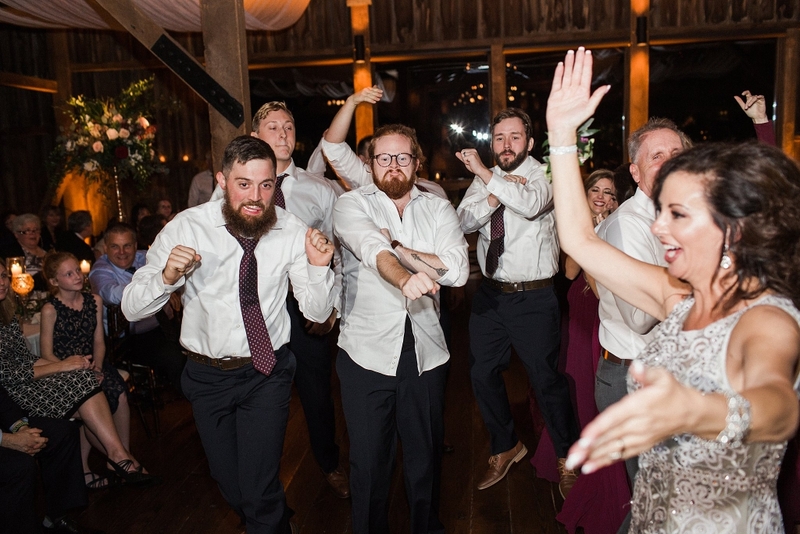 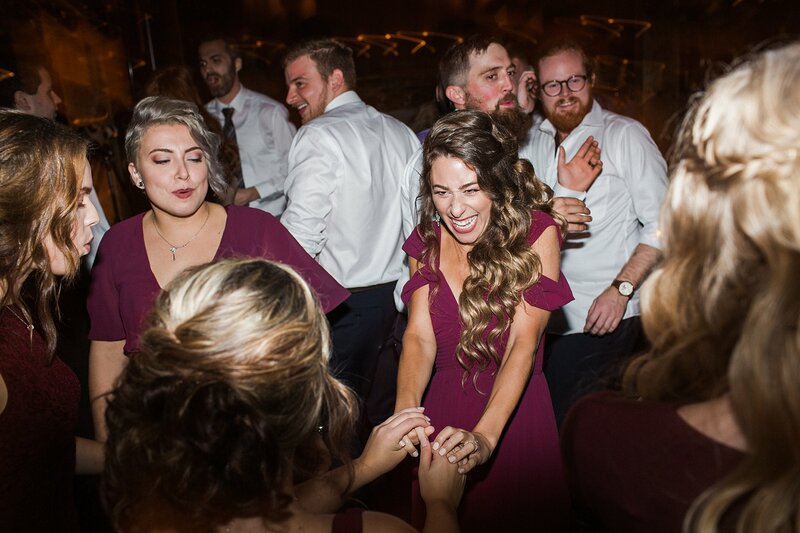 She was absolutely glowing and so ready to marry her handsome groom. 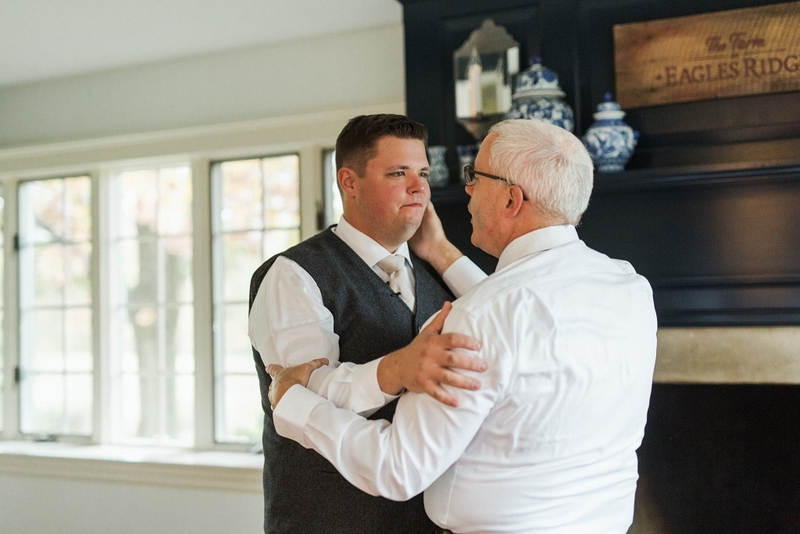 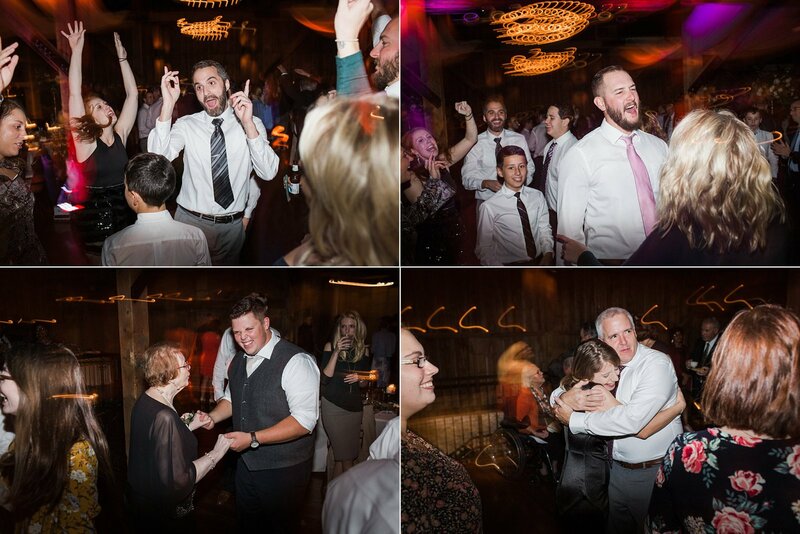 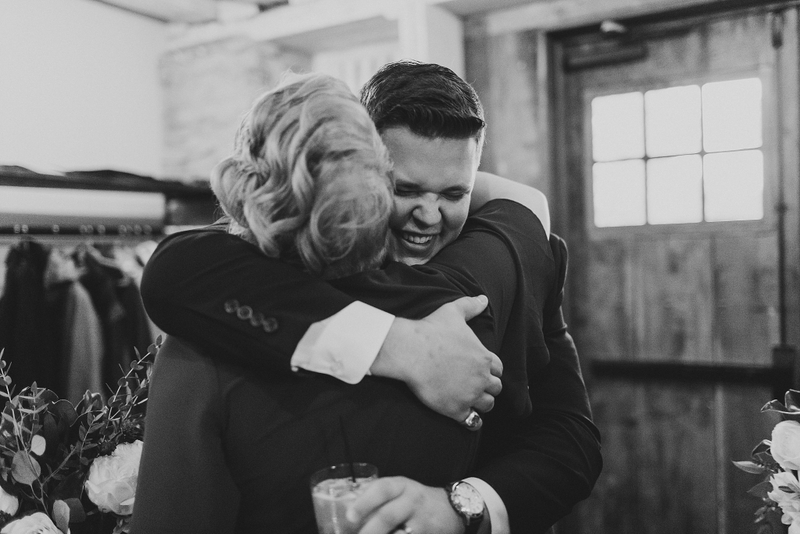 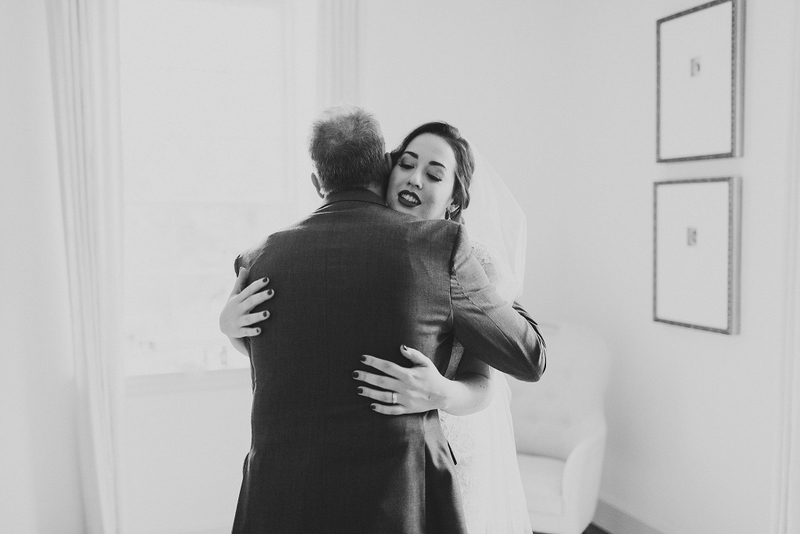 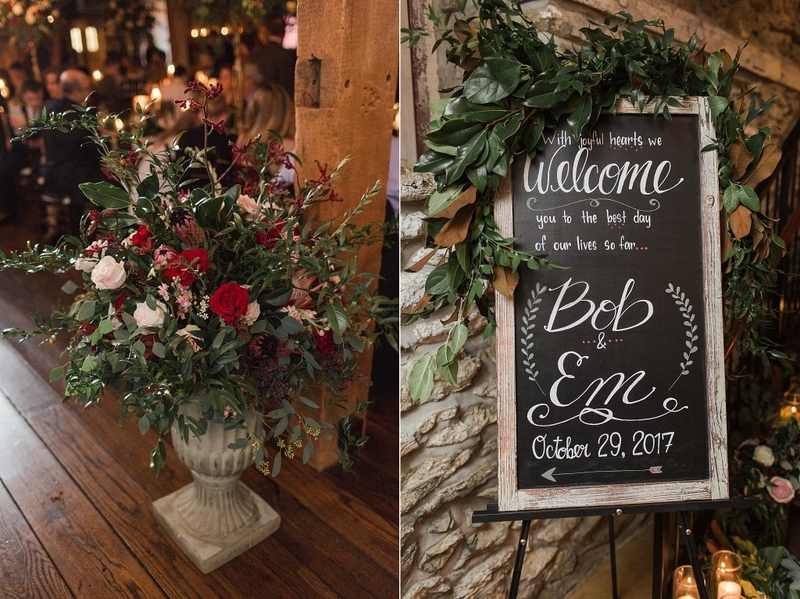 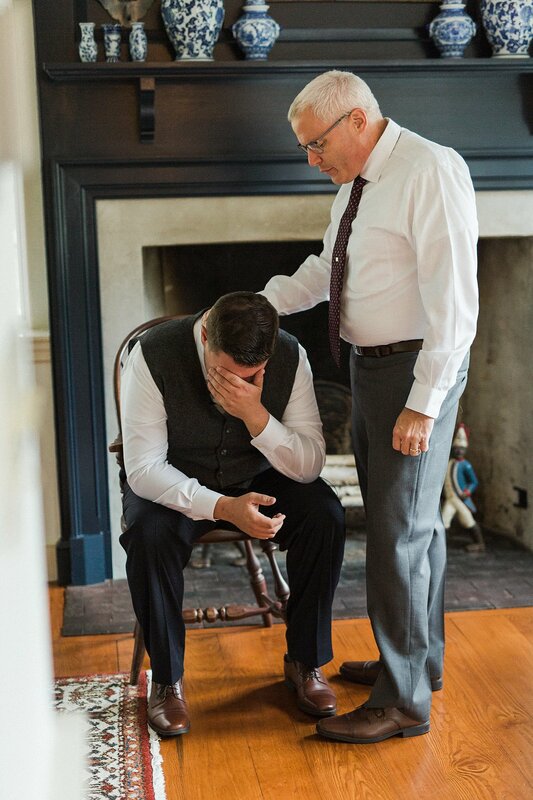 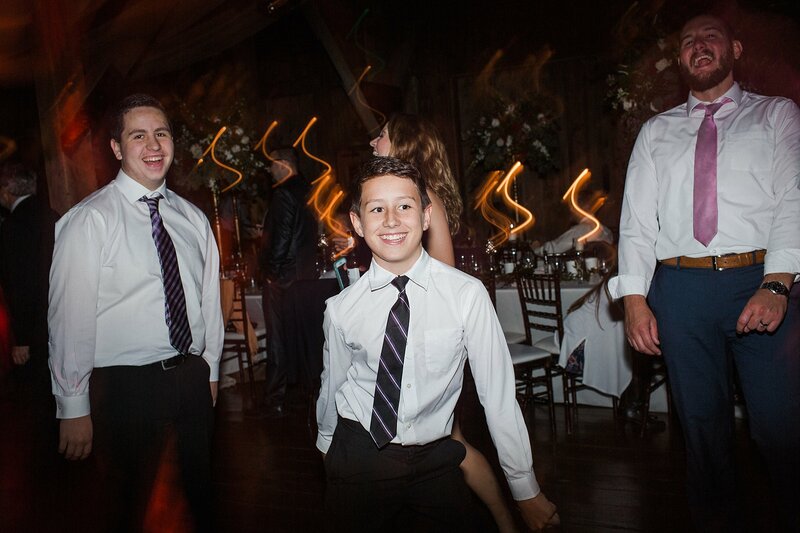 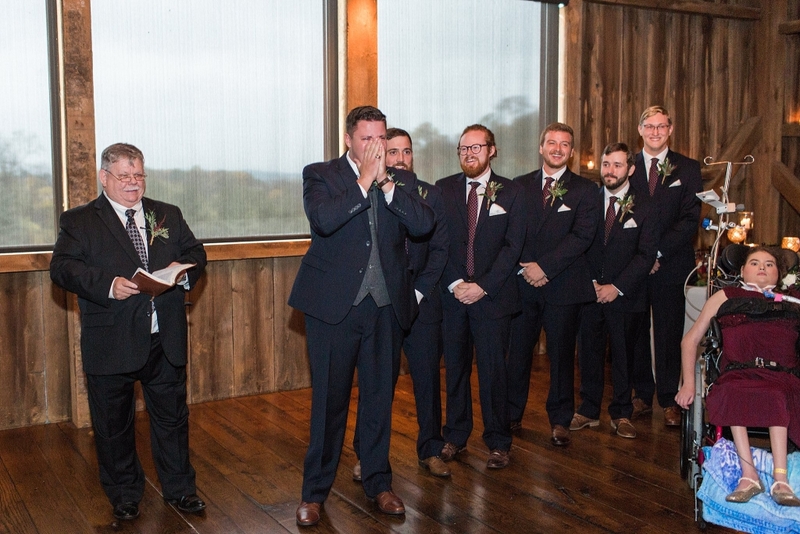 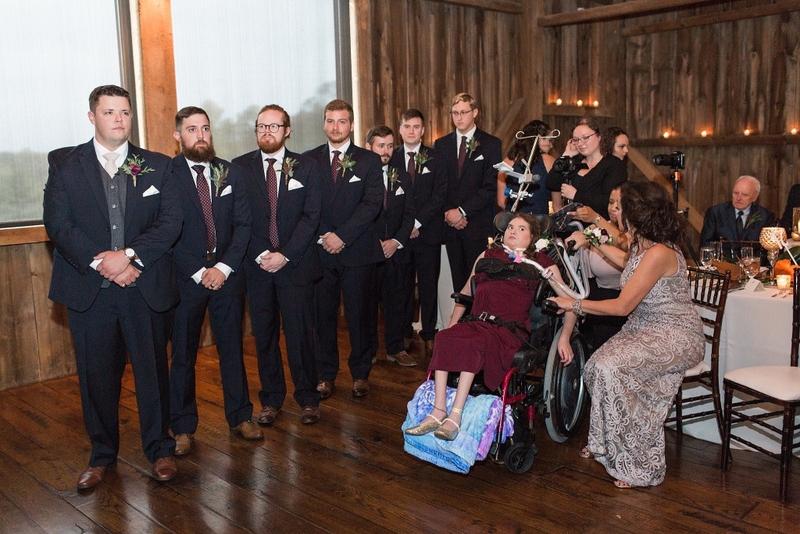 Bob was filled with such beautiful and sincere emotion leading up to the ceremony. 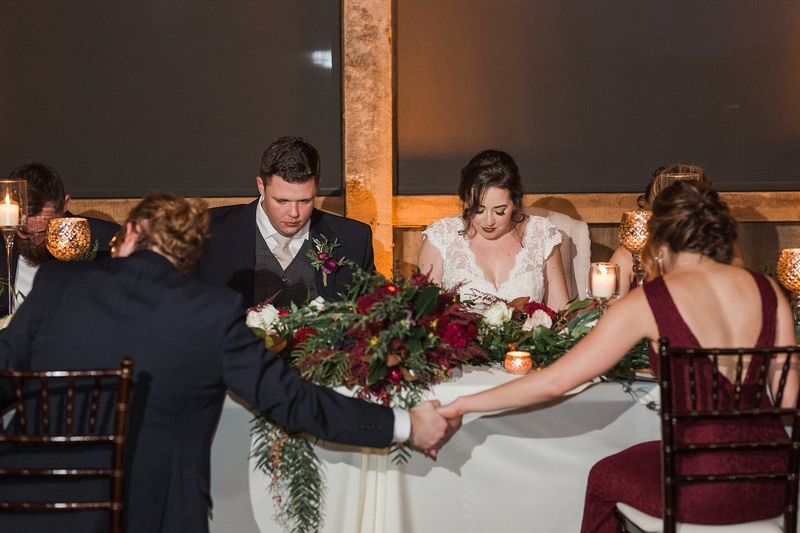 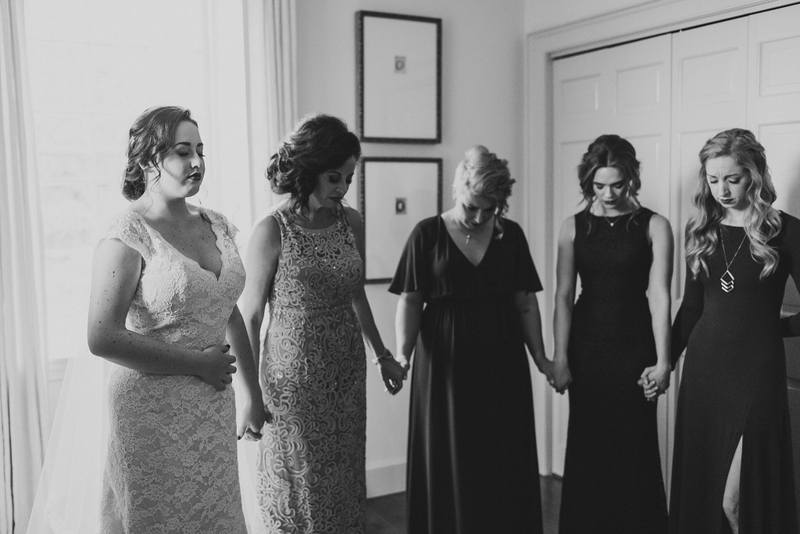 Both Emily and Bob took a moment to pray with their loved ones before they made the step into married life. 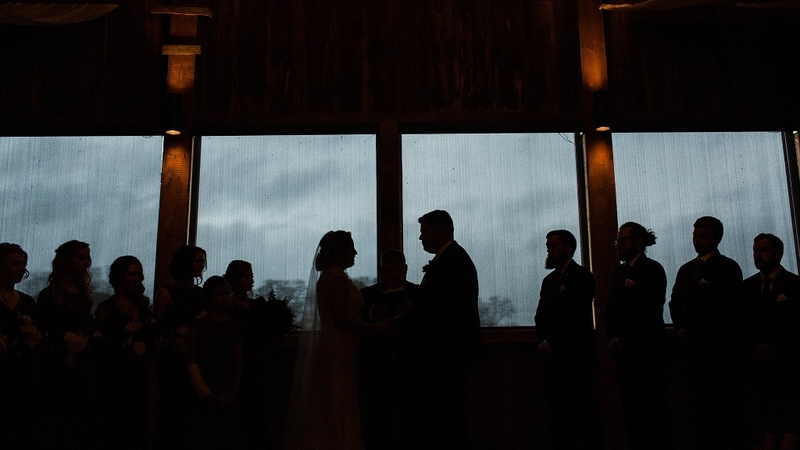 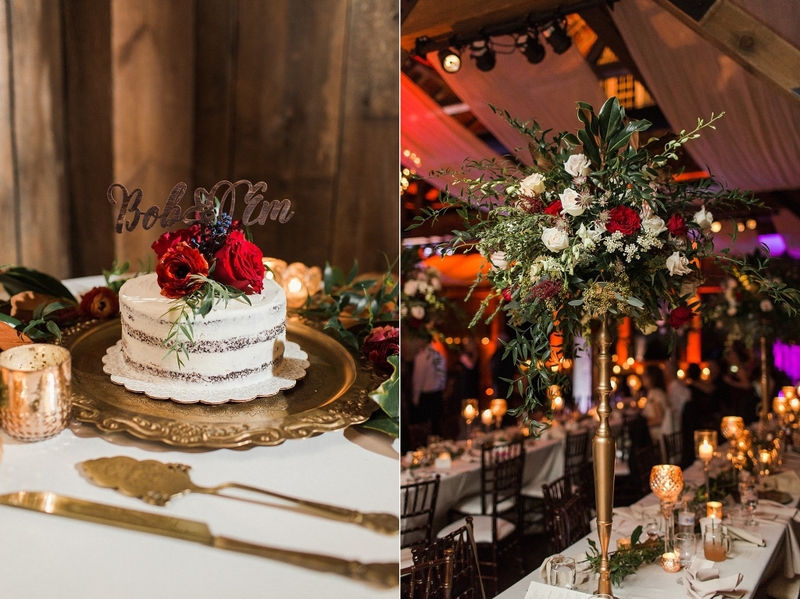 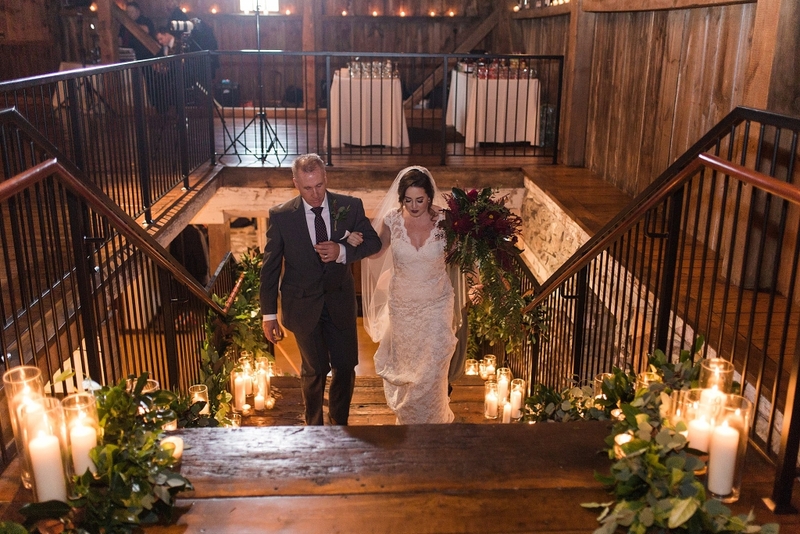 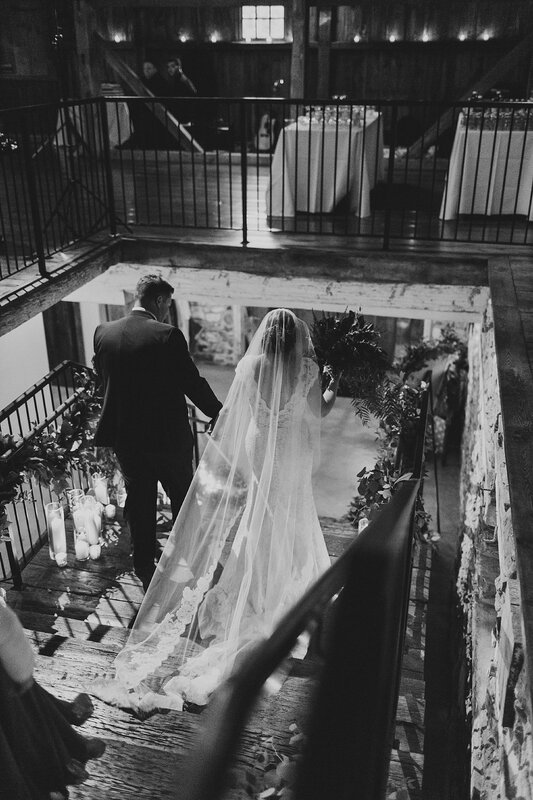 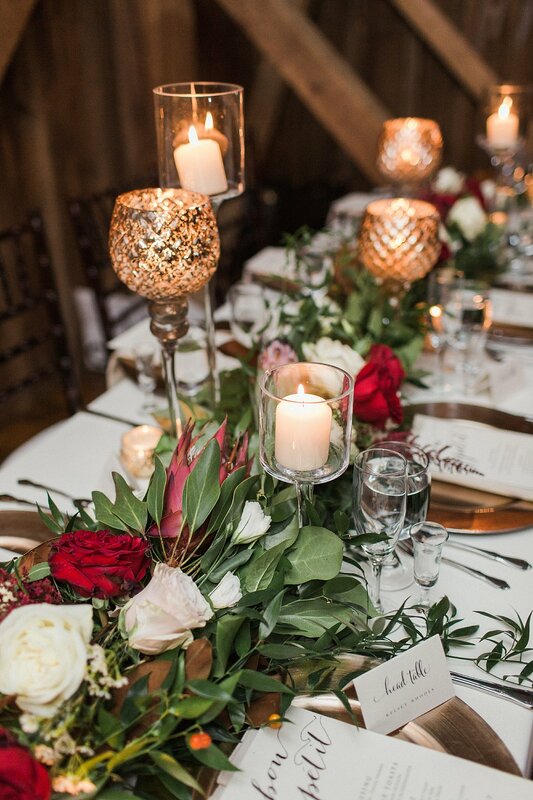 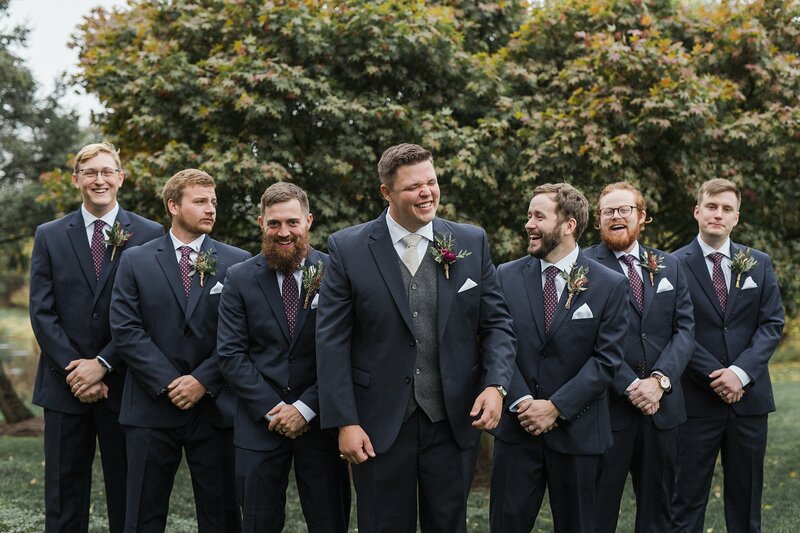 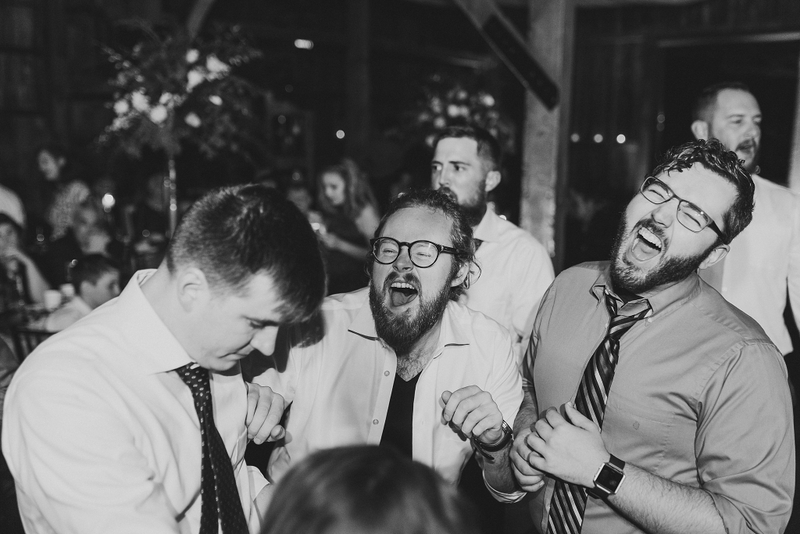 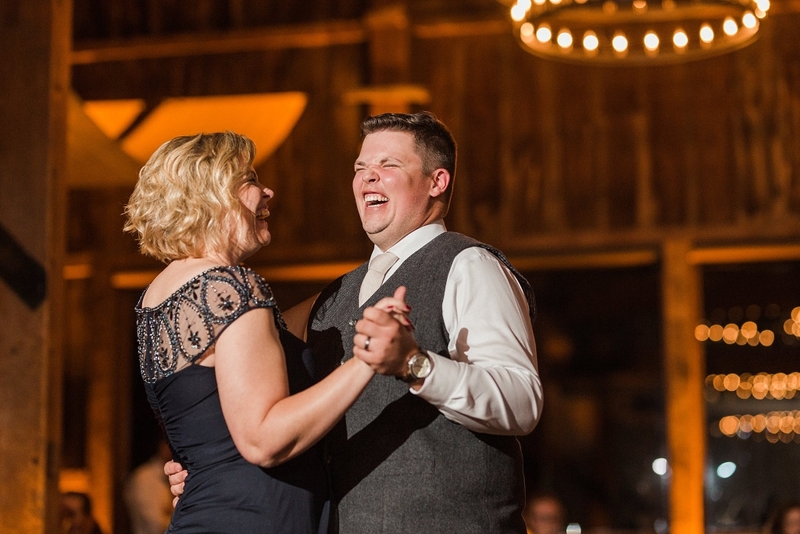 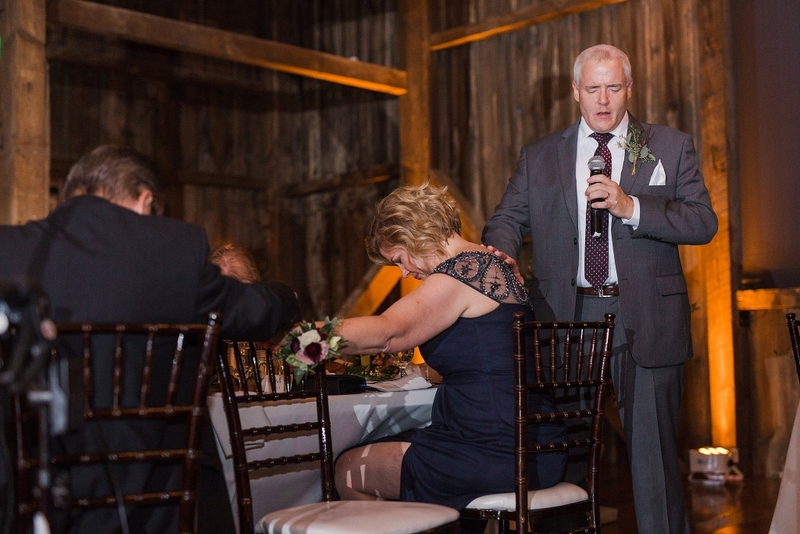 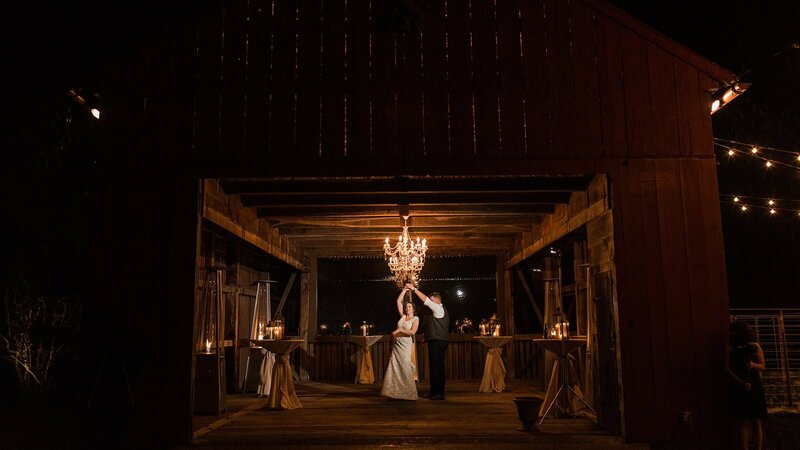 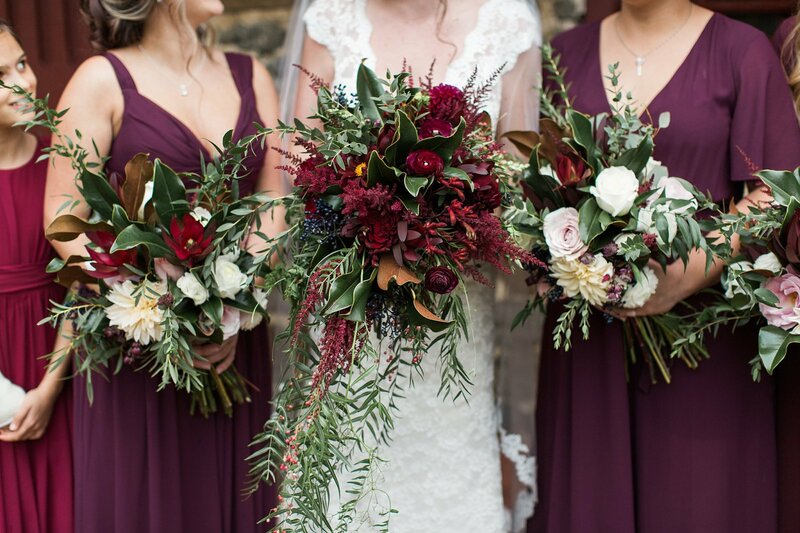 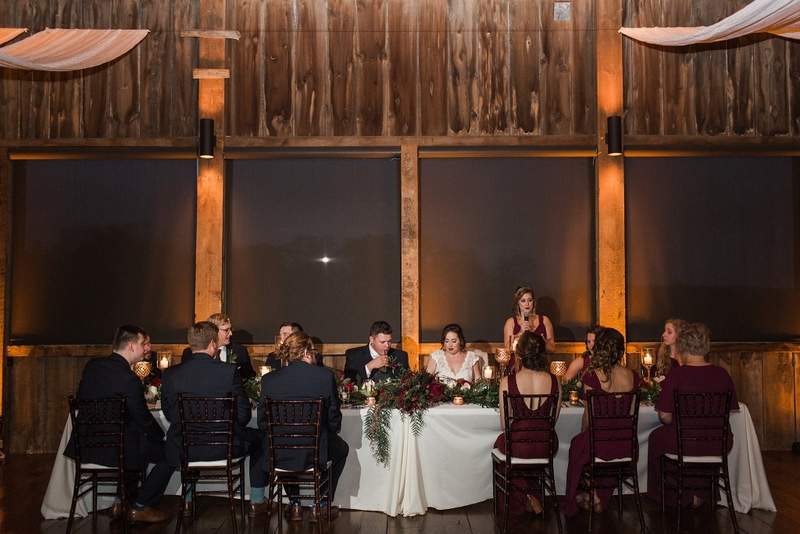 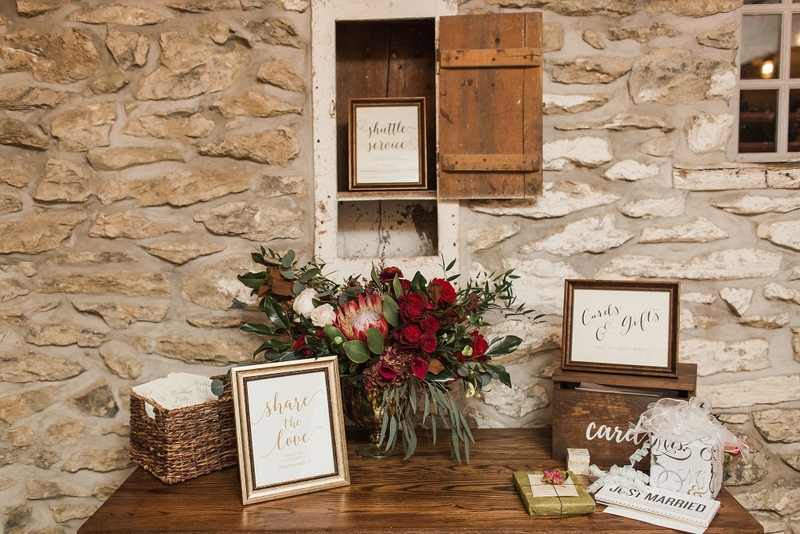 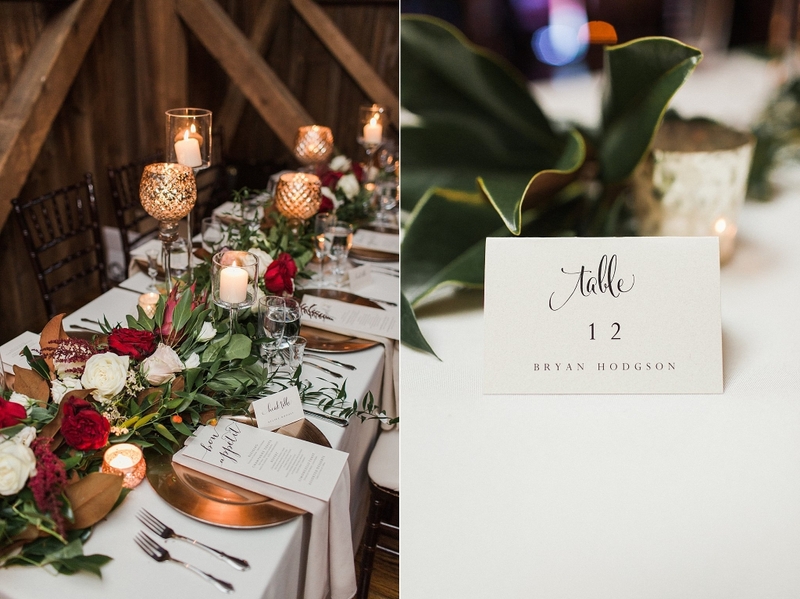 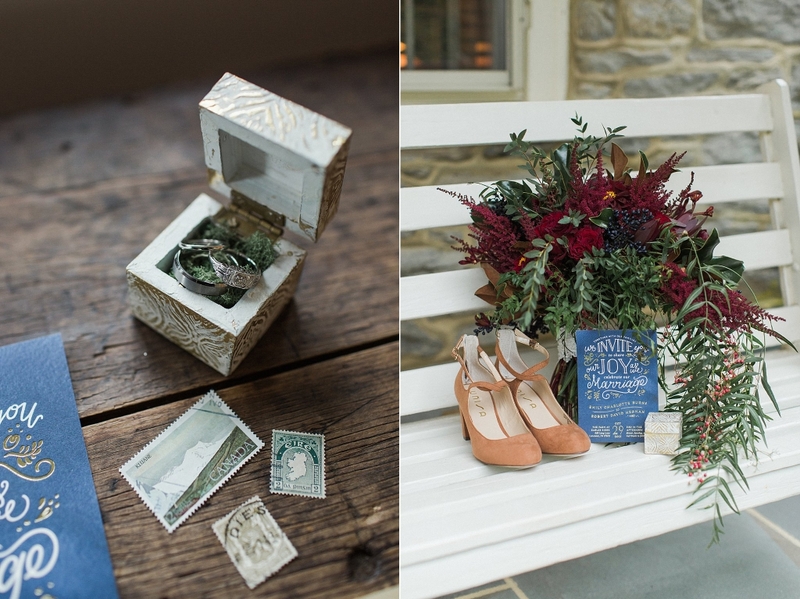 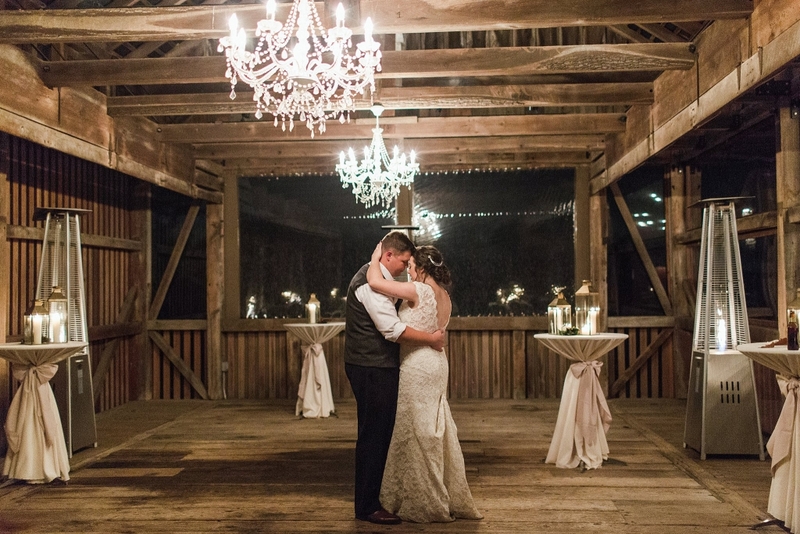 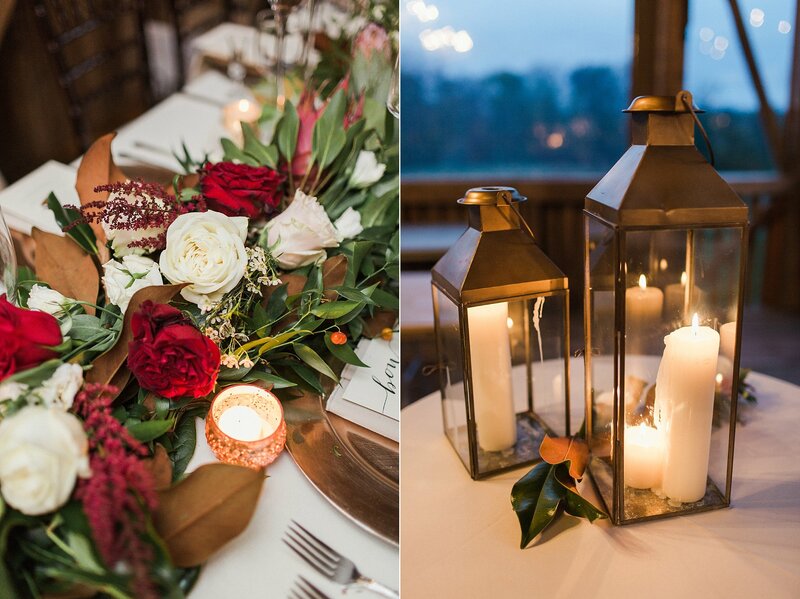 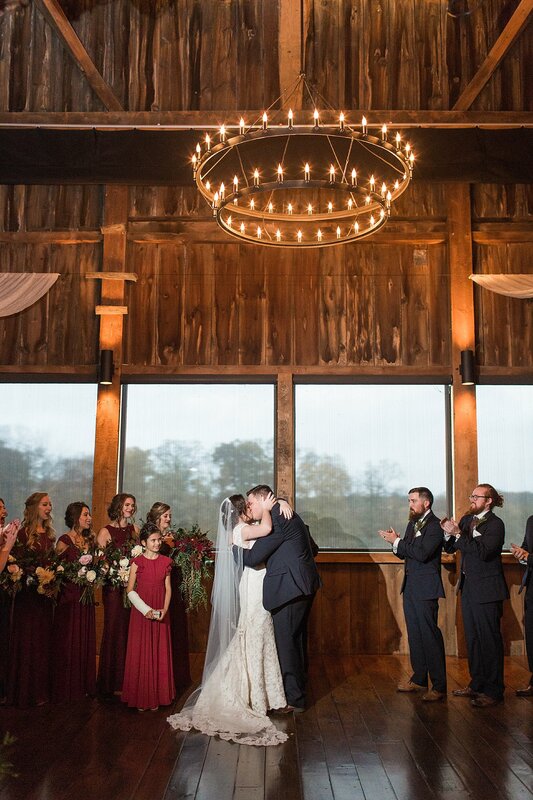 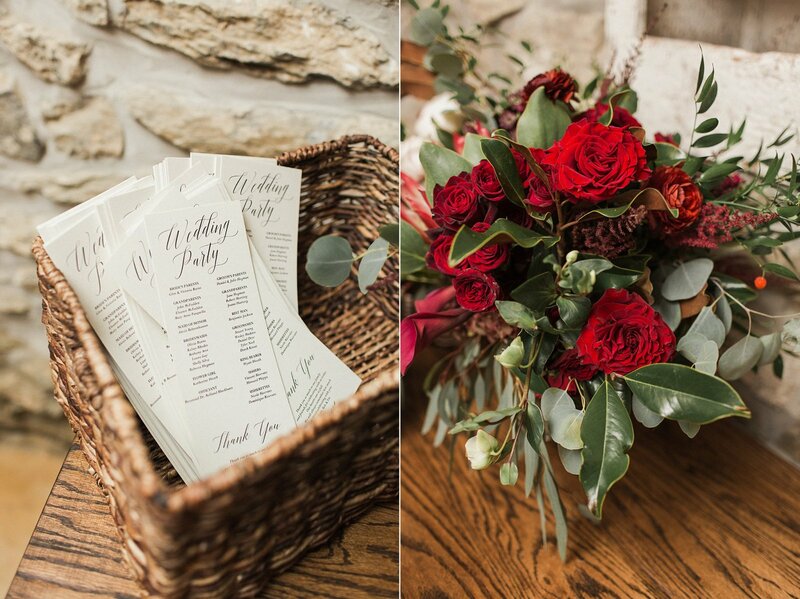 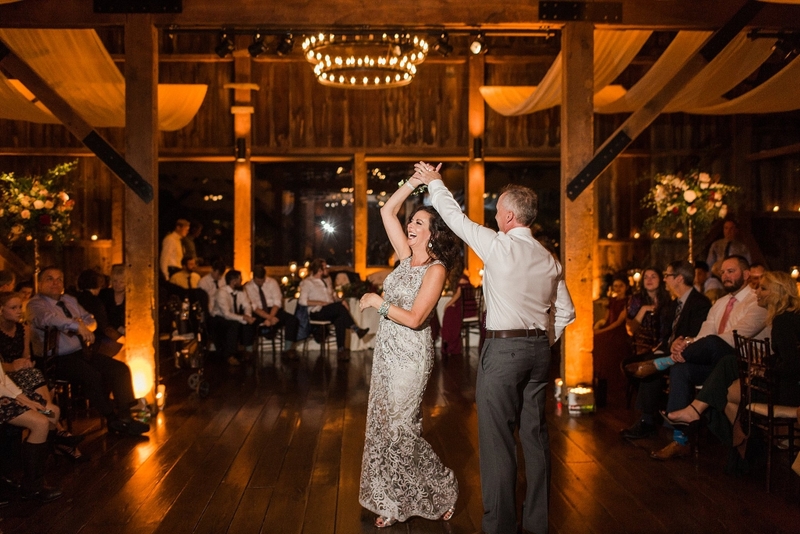 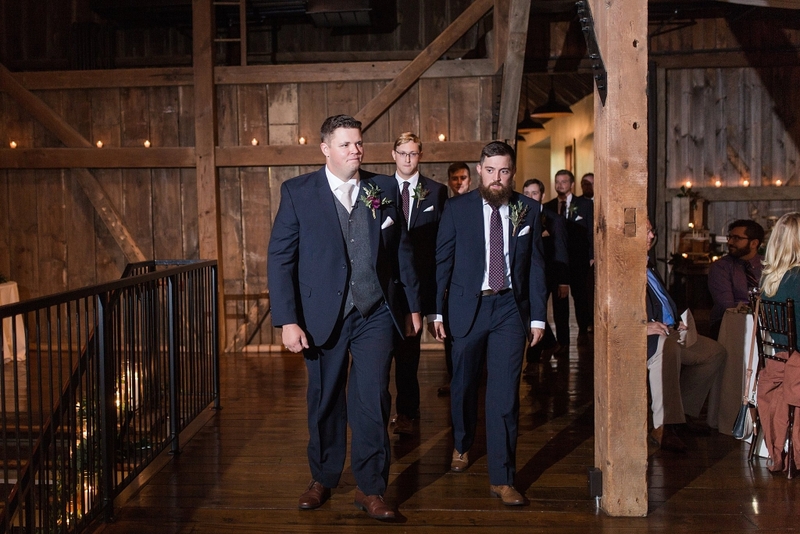 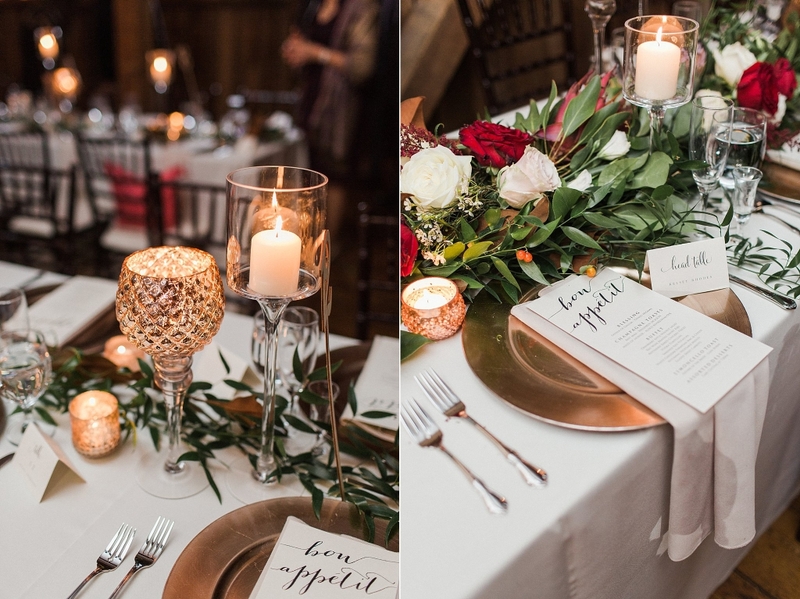 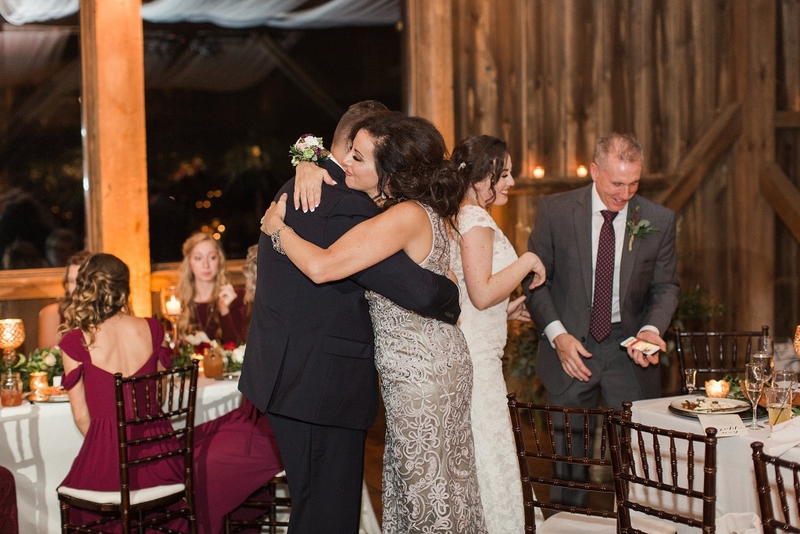 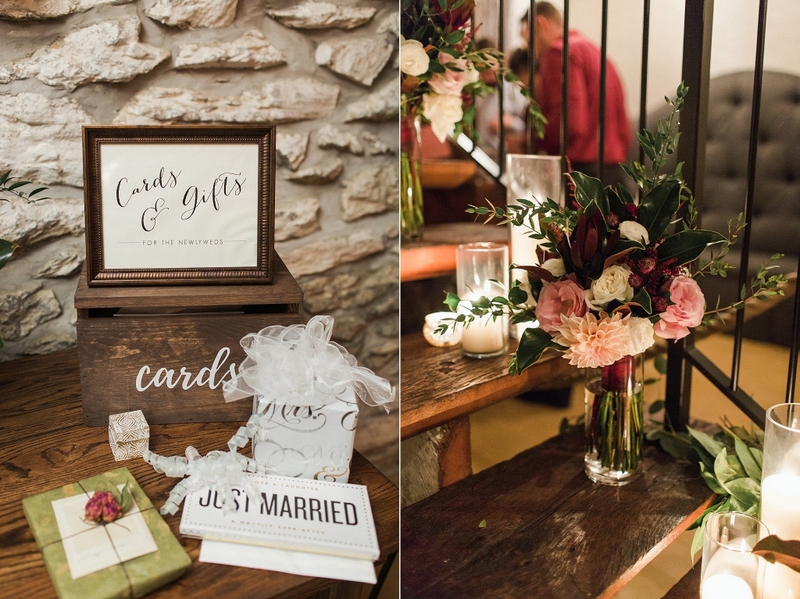 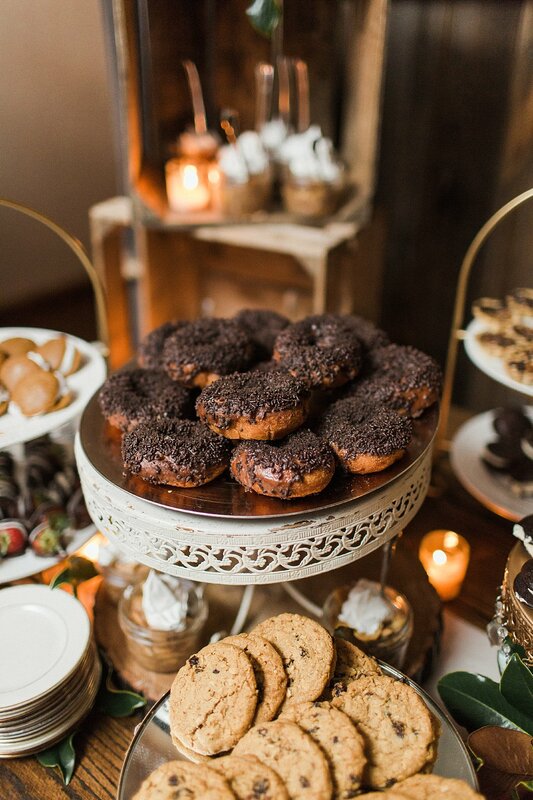 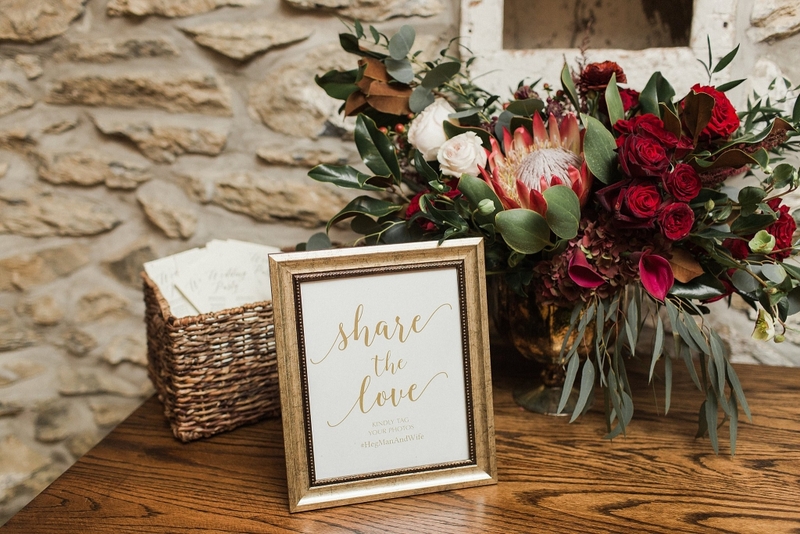 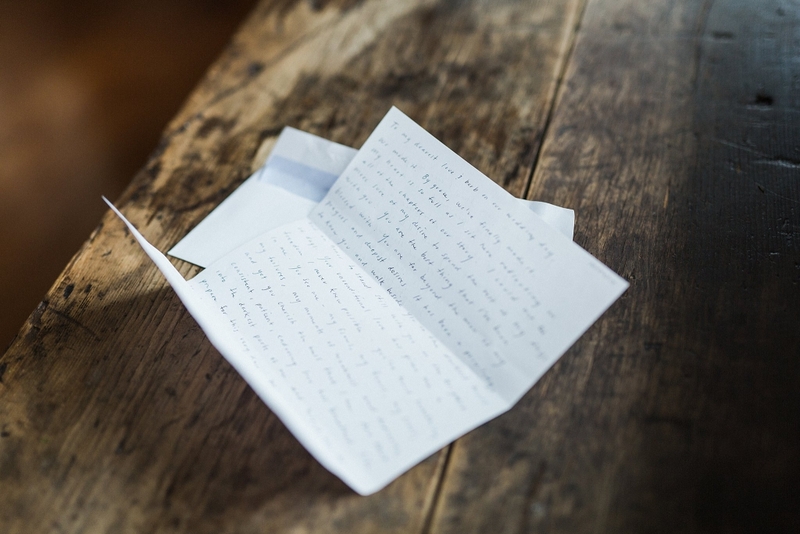 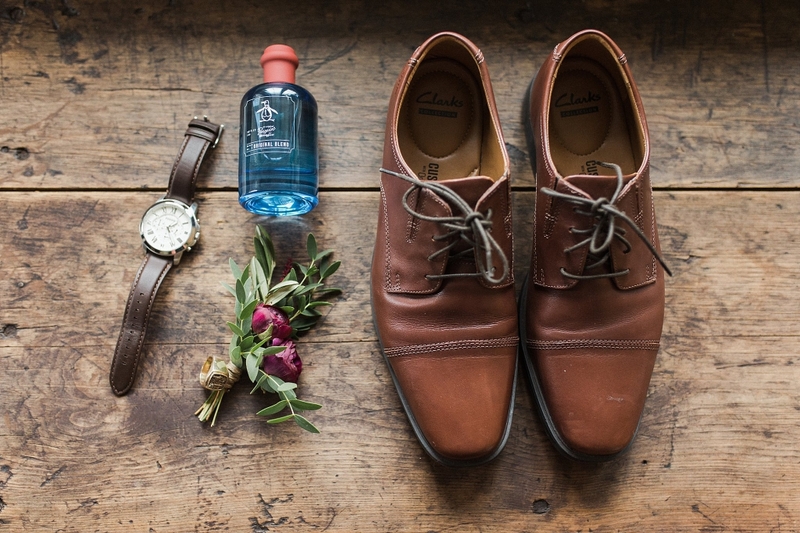 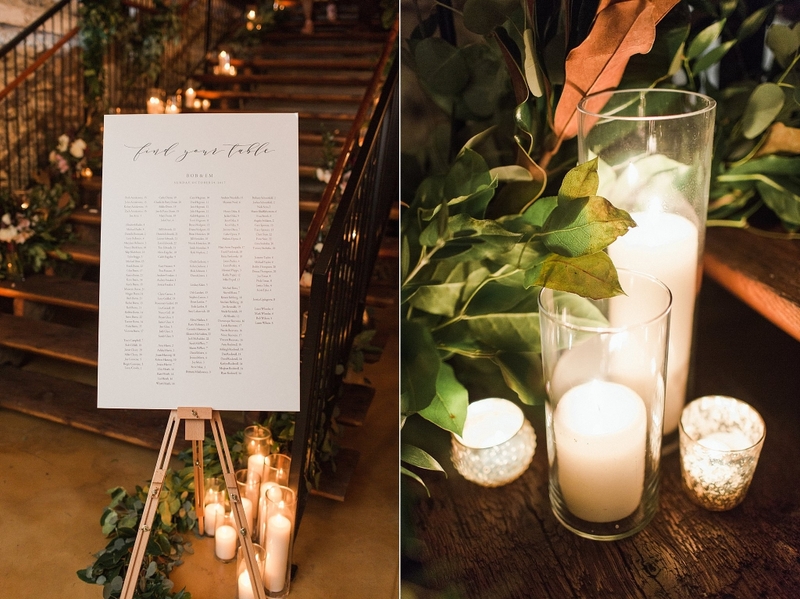 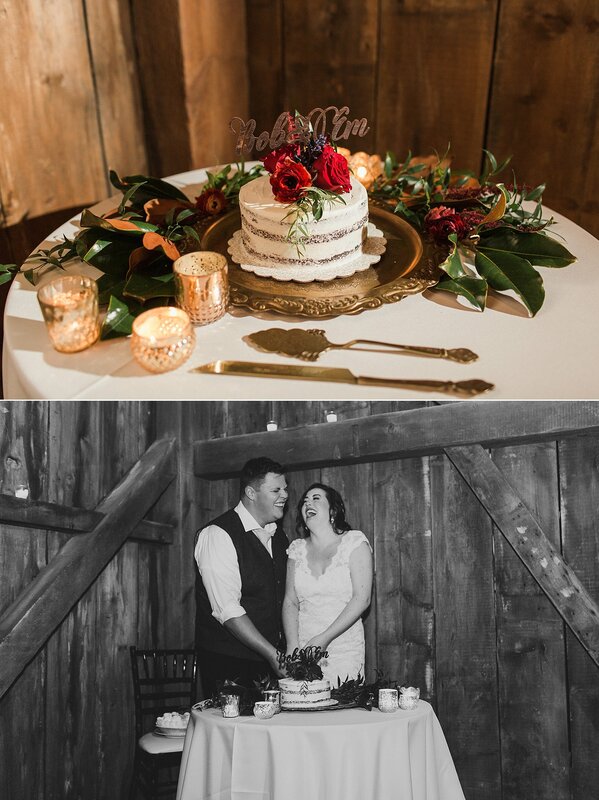 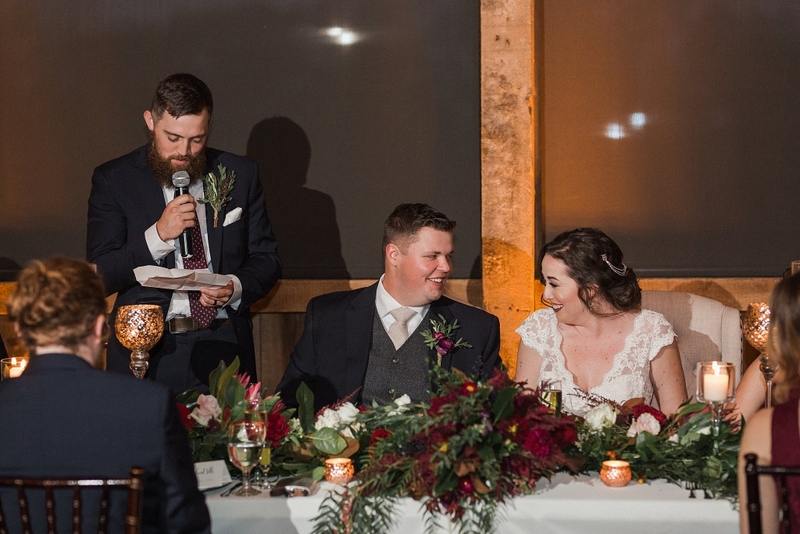 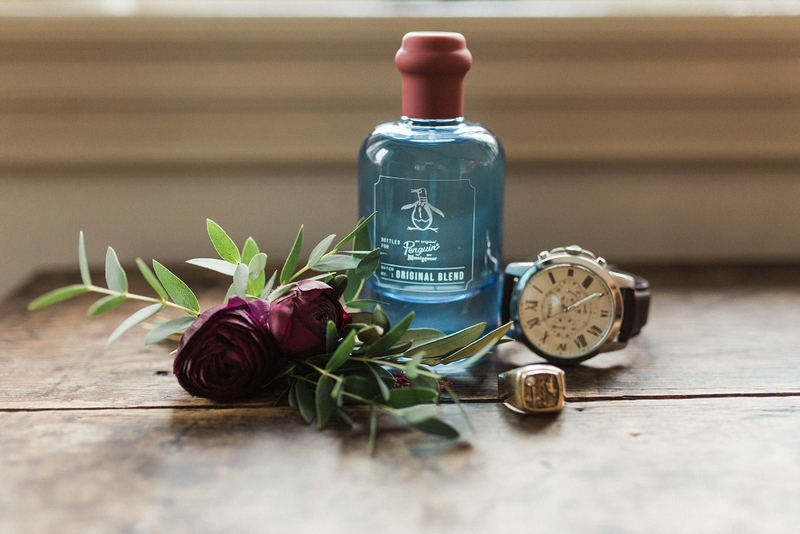 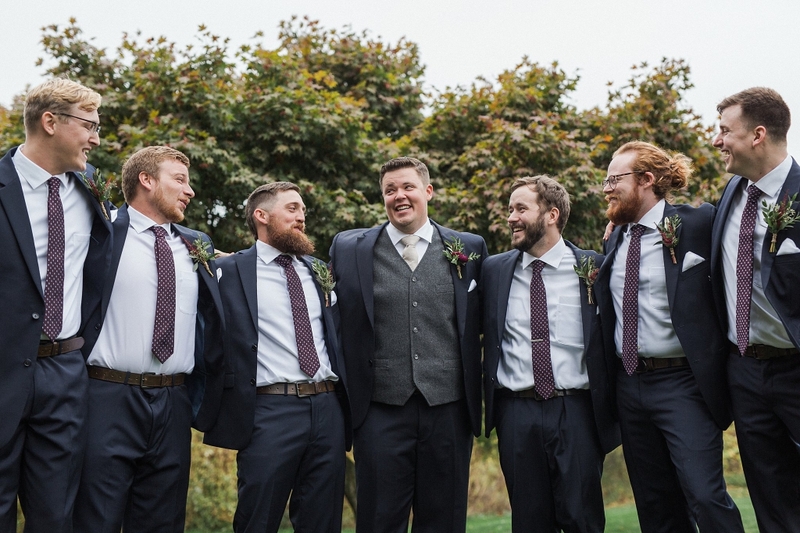 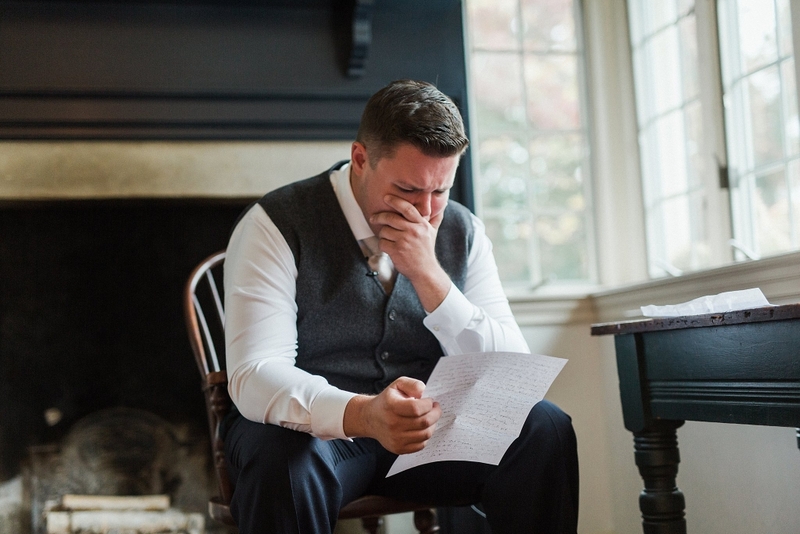 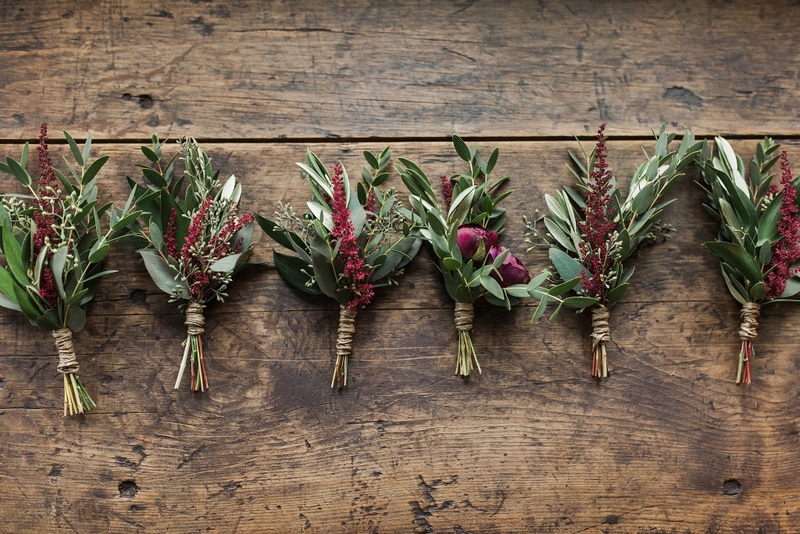 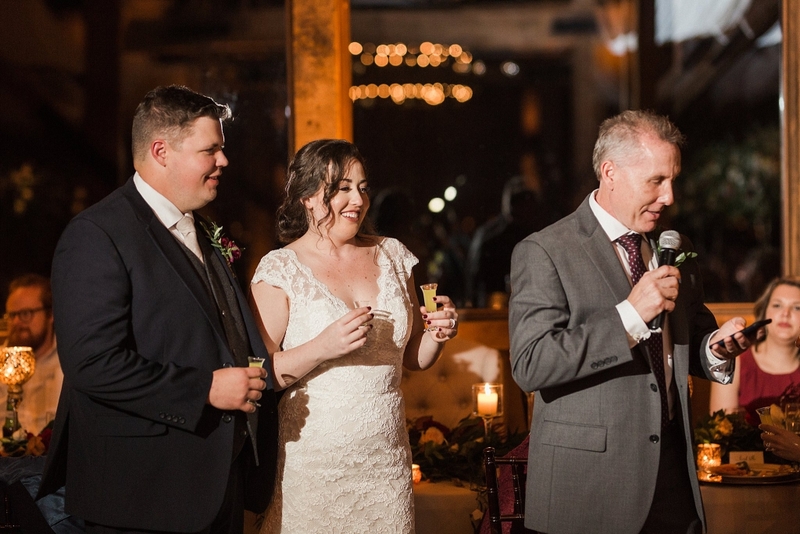 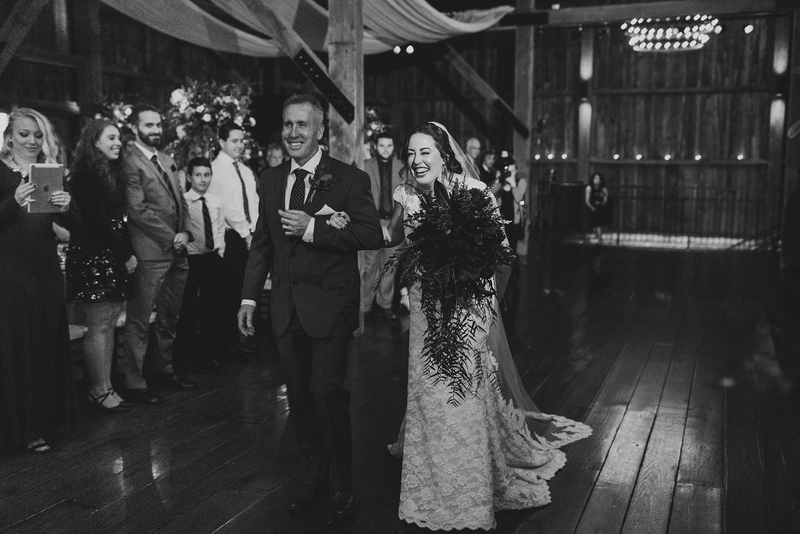 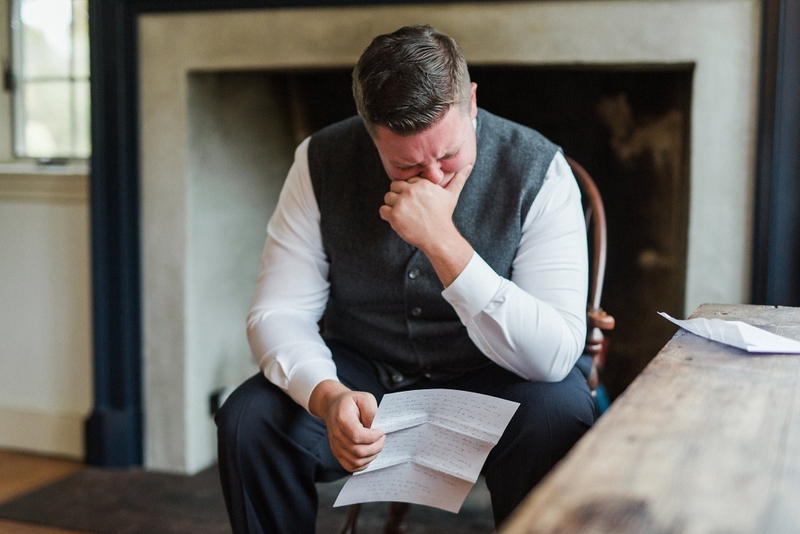 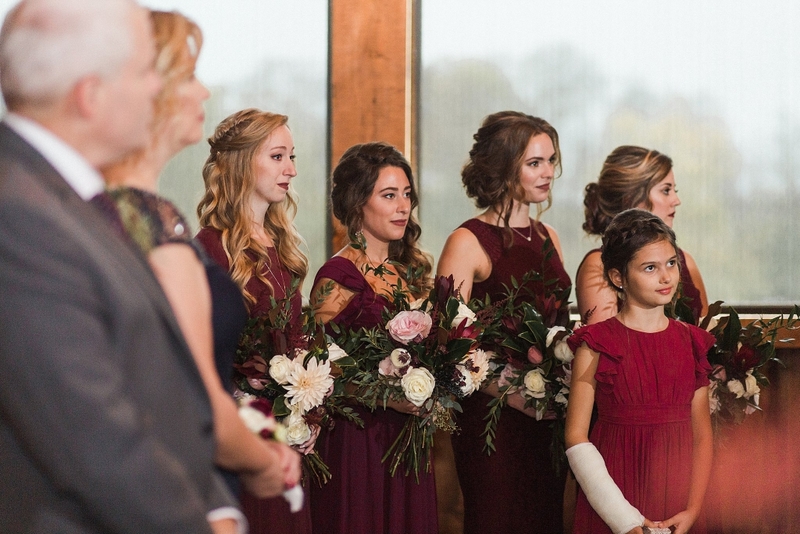 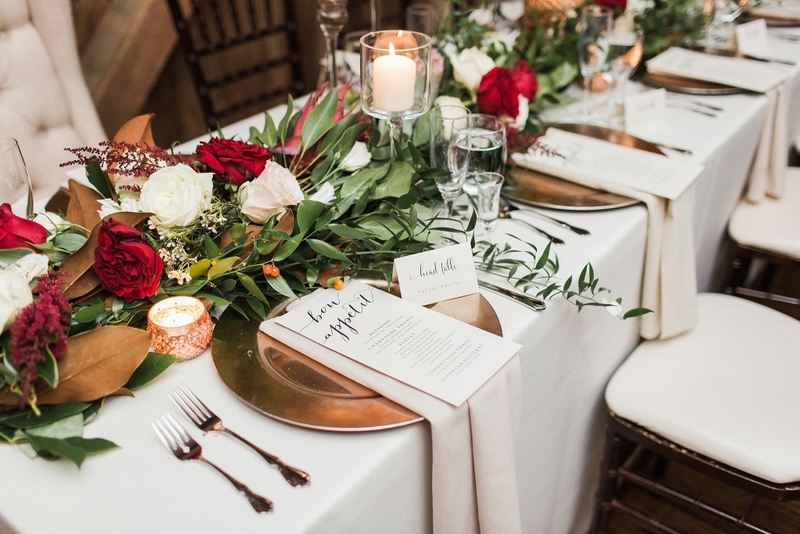 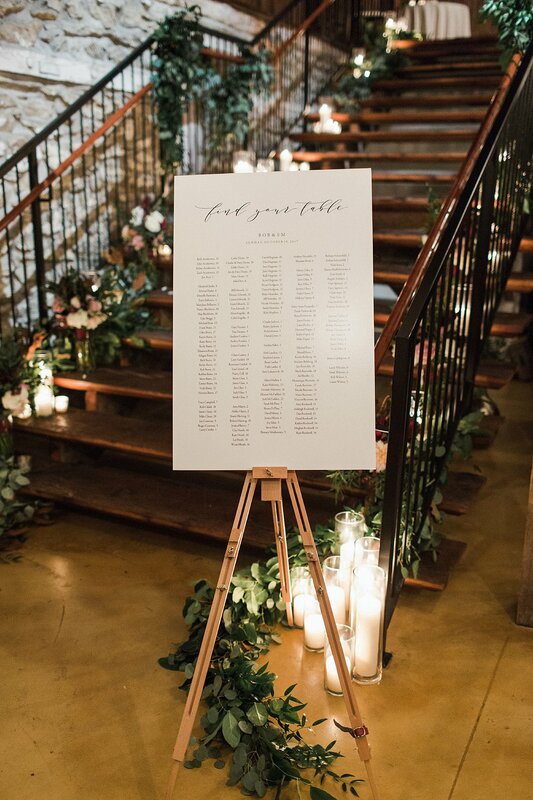 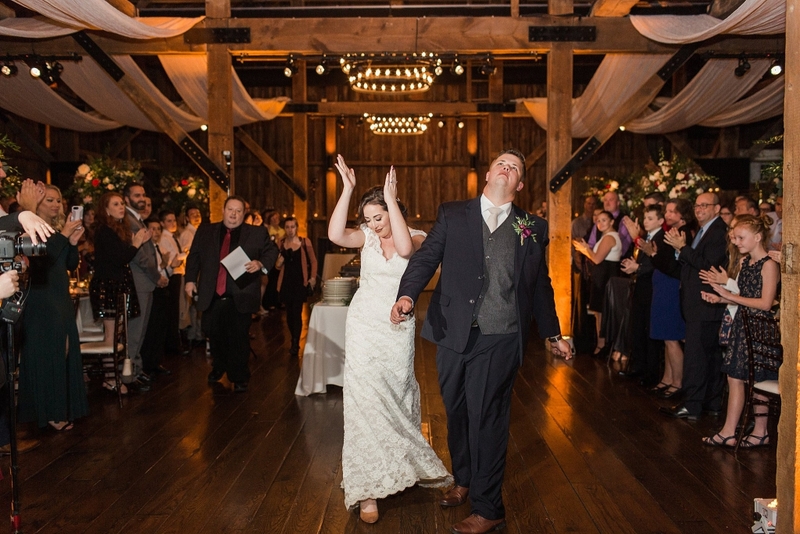 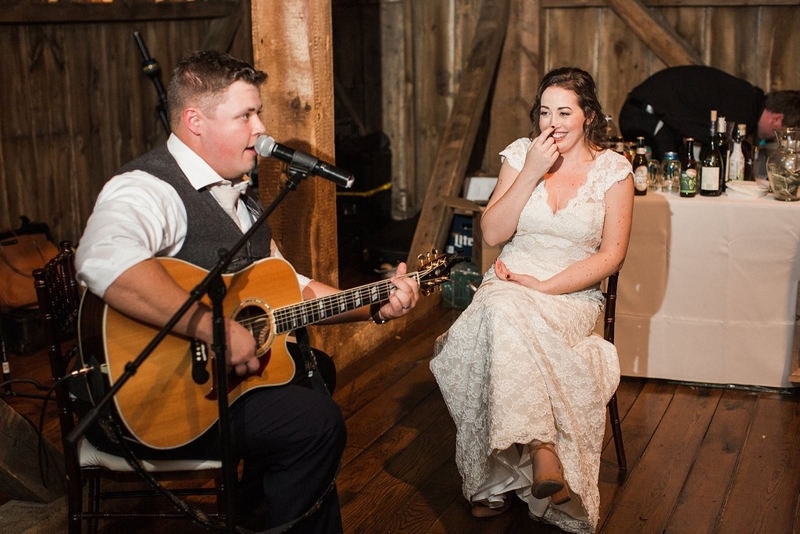 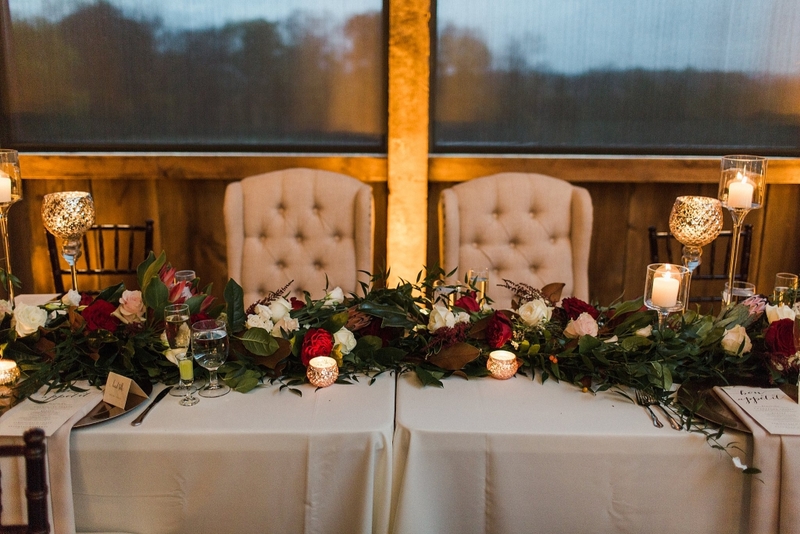 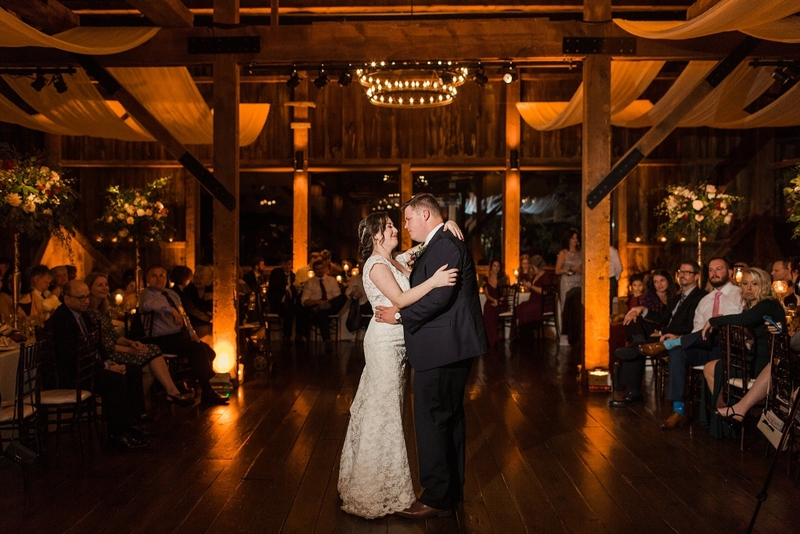 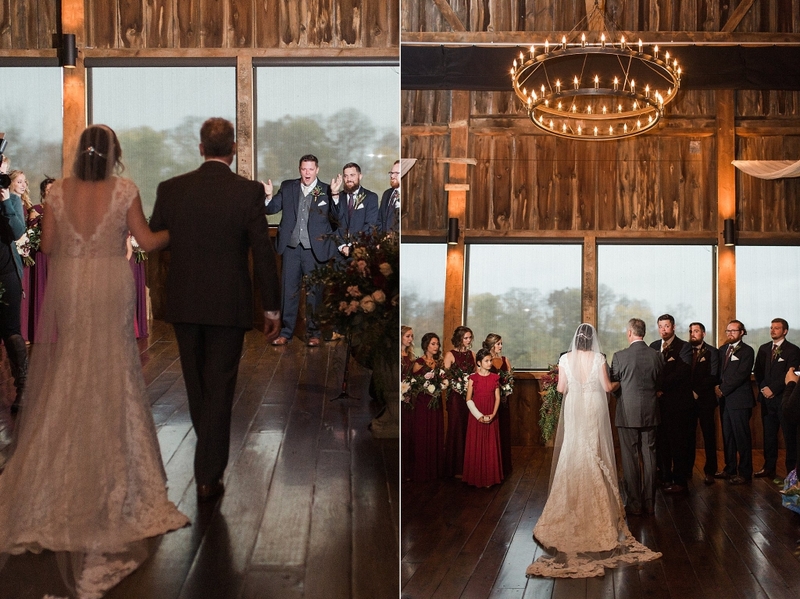 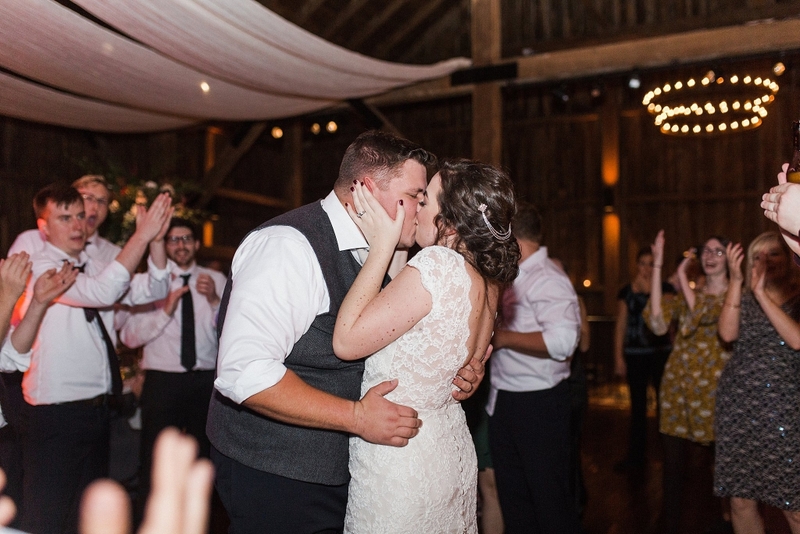 Their ceremony was held in the barn on site and was an absolutely incredible moment to behold. 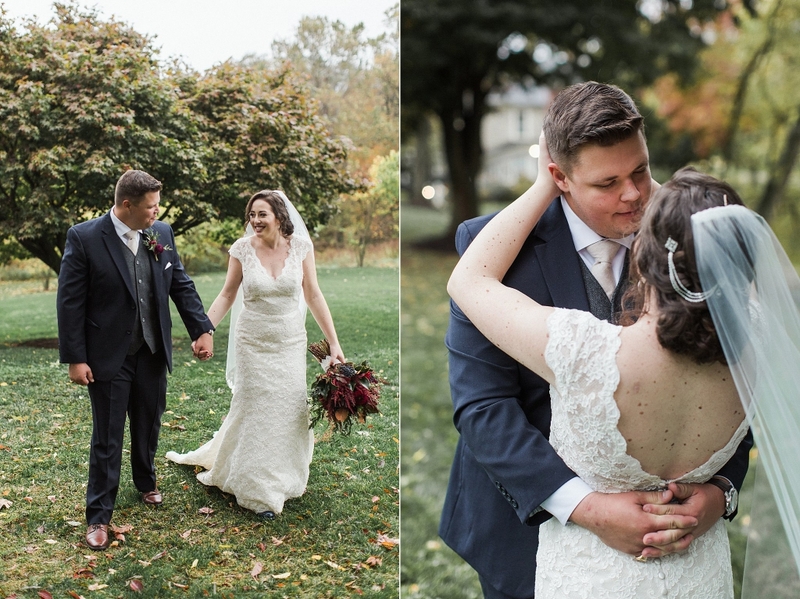 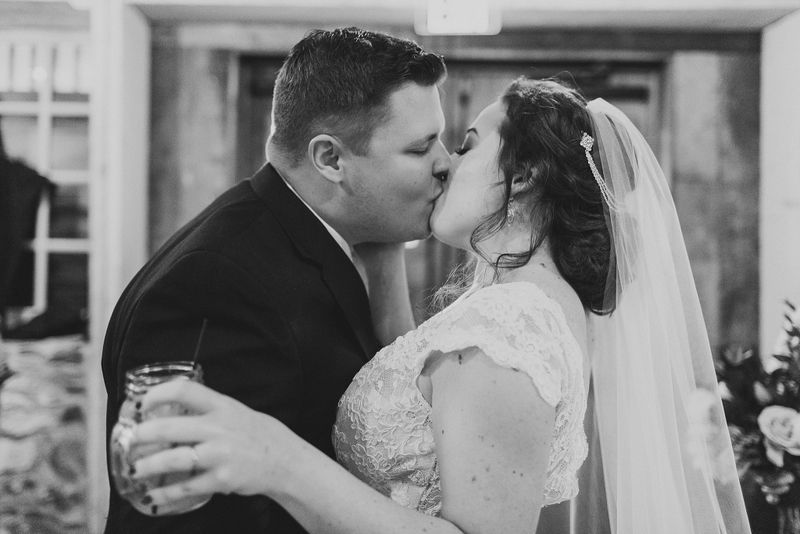 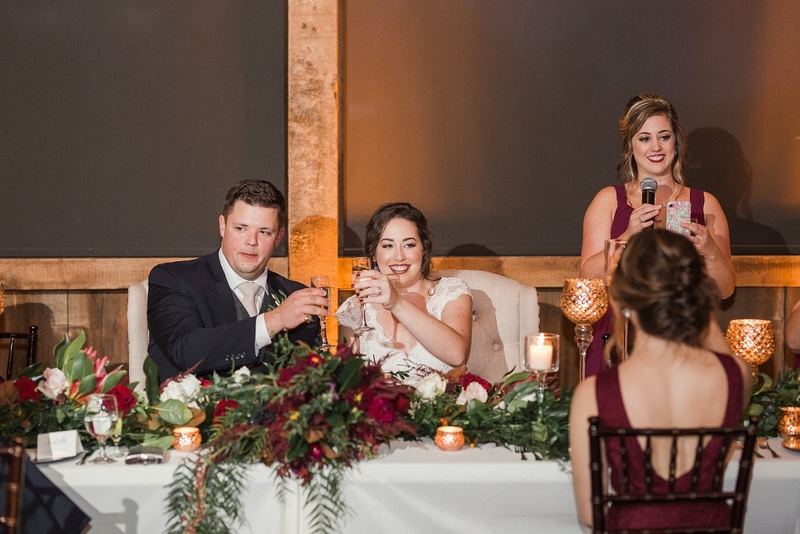 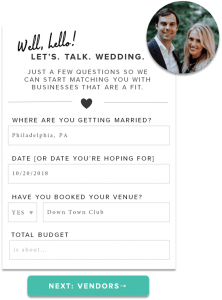 They exchanged their vows, rings and a kiss before heading down the aisle to celebrate with their friends and family. 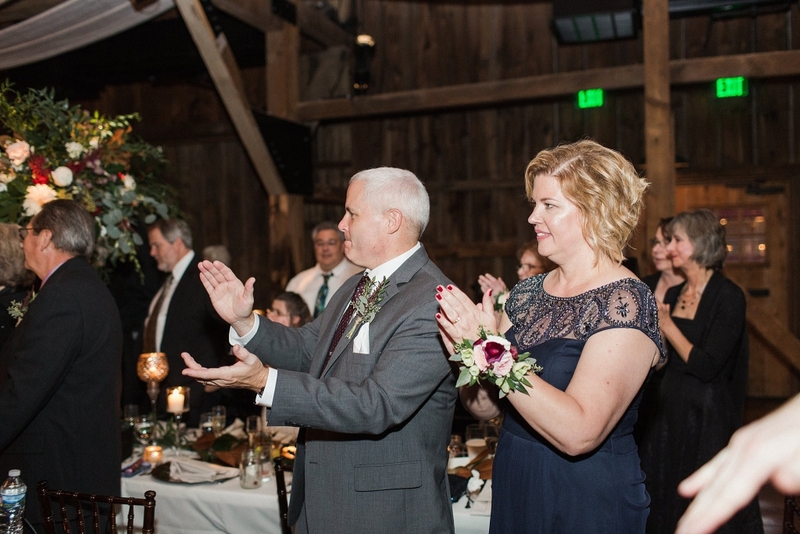 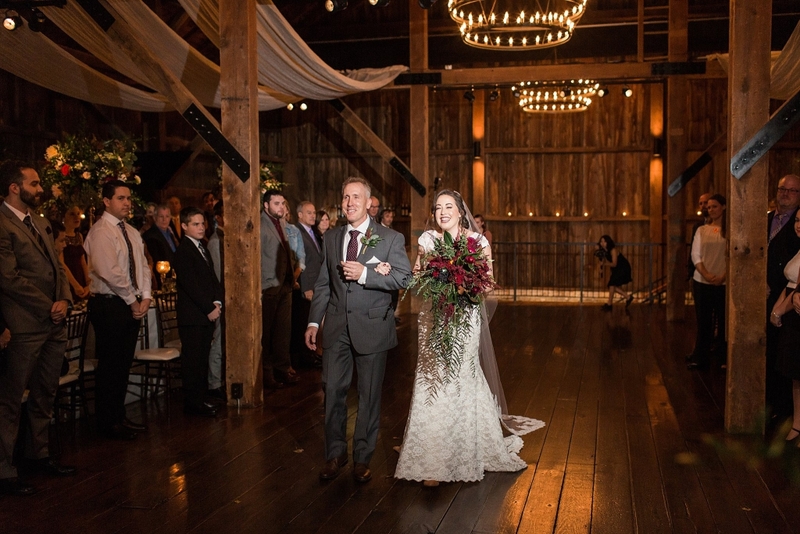 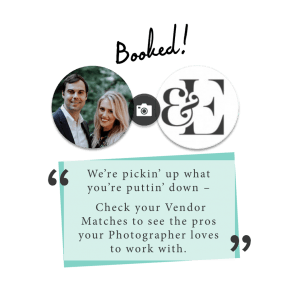 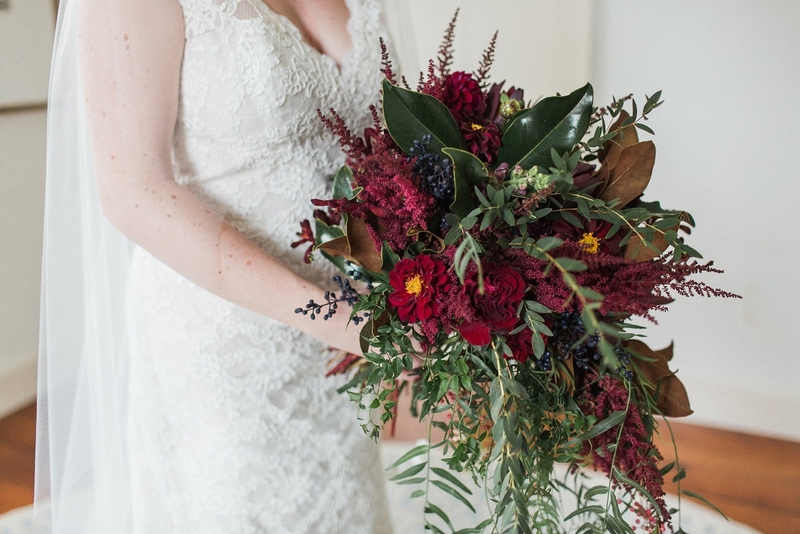 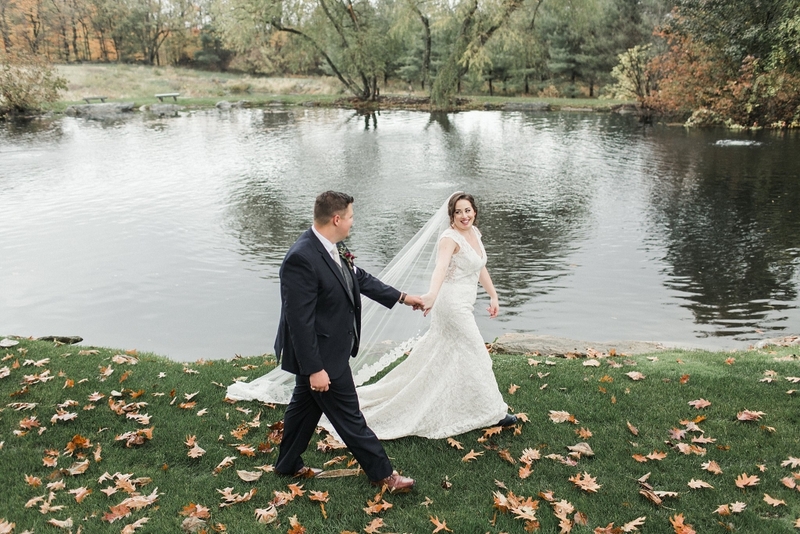 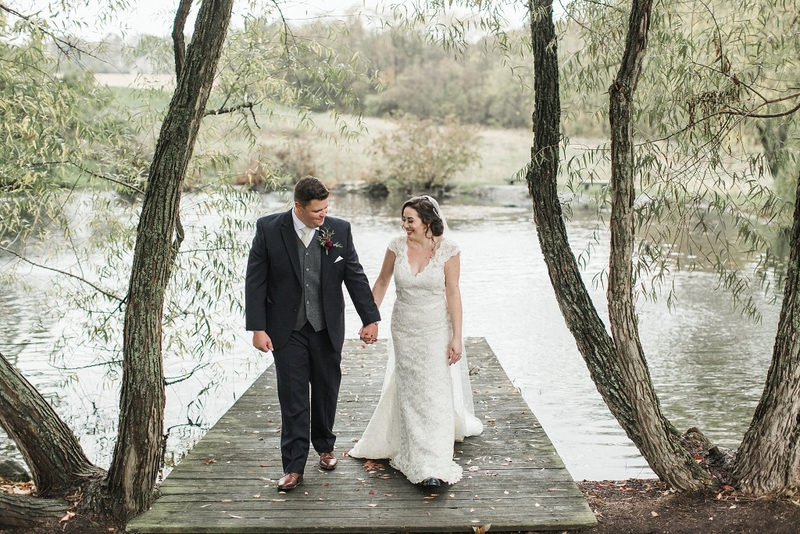 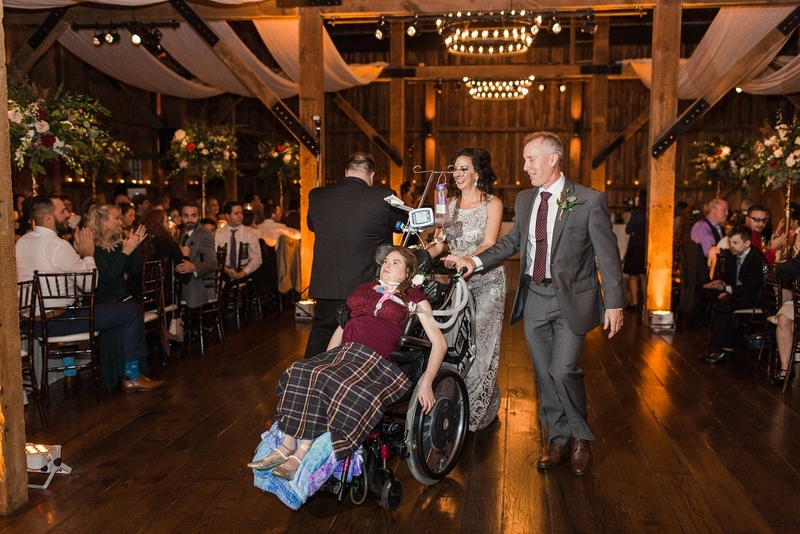 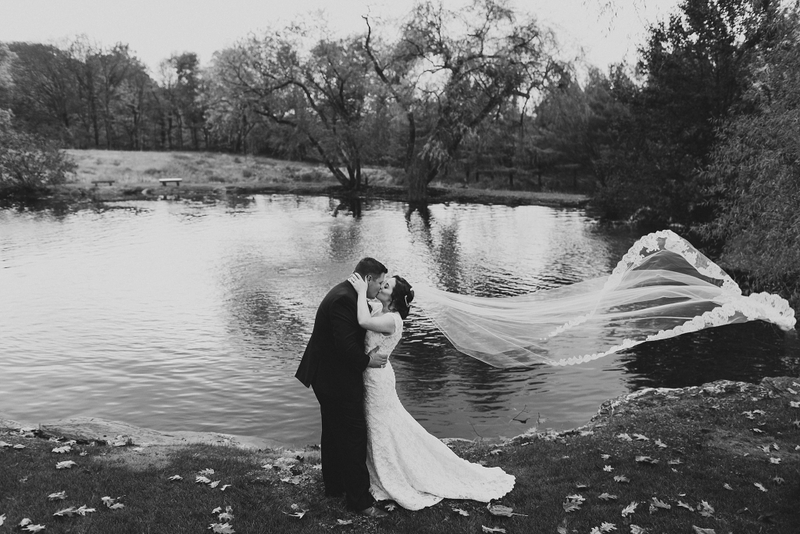 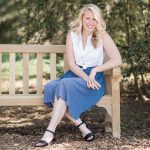 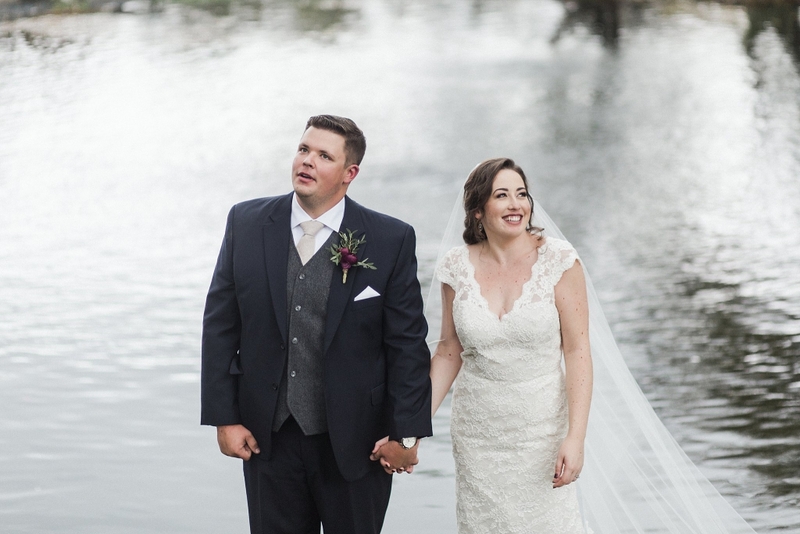 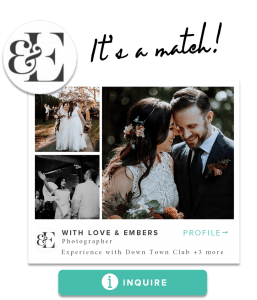 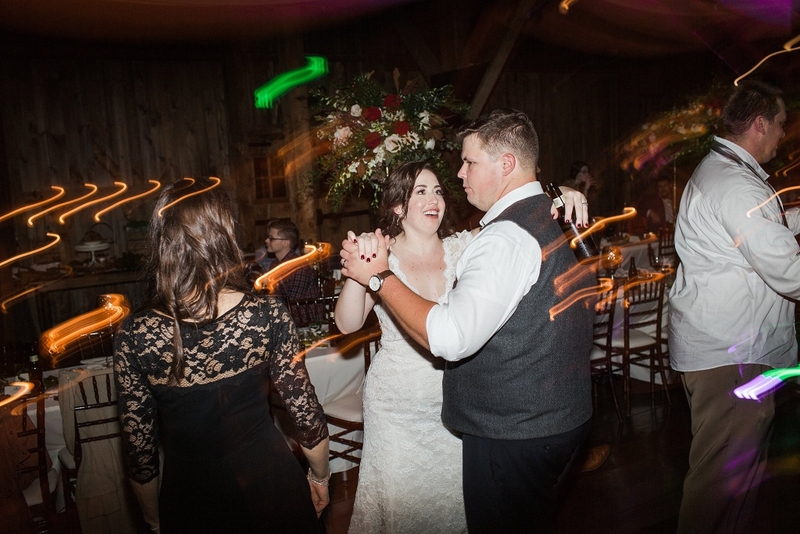 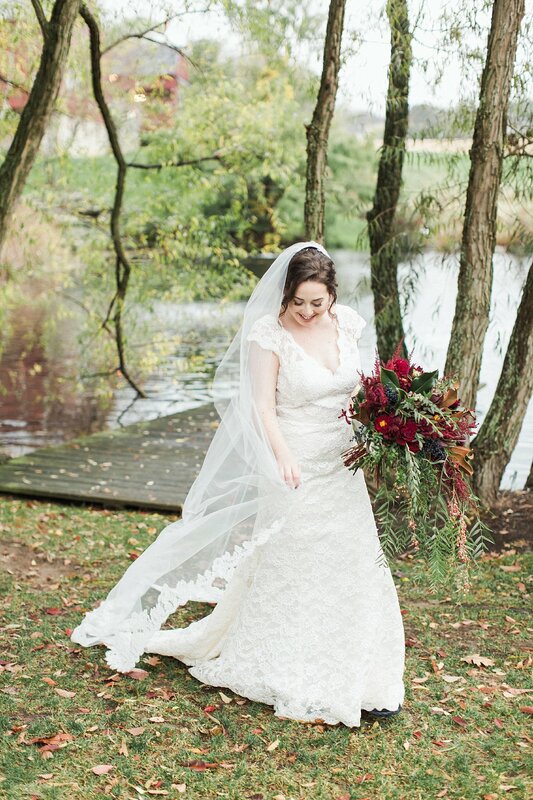 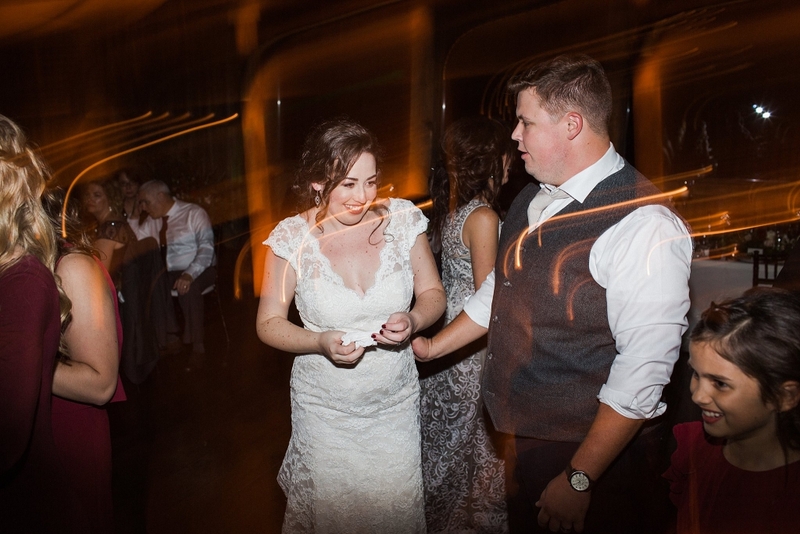 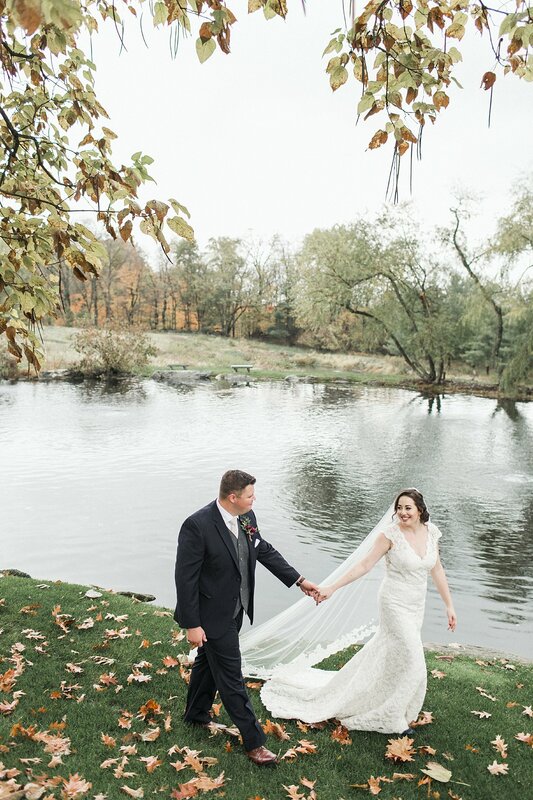 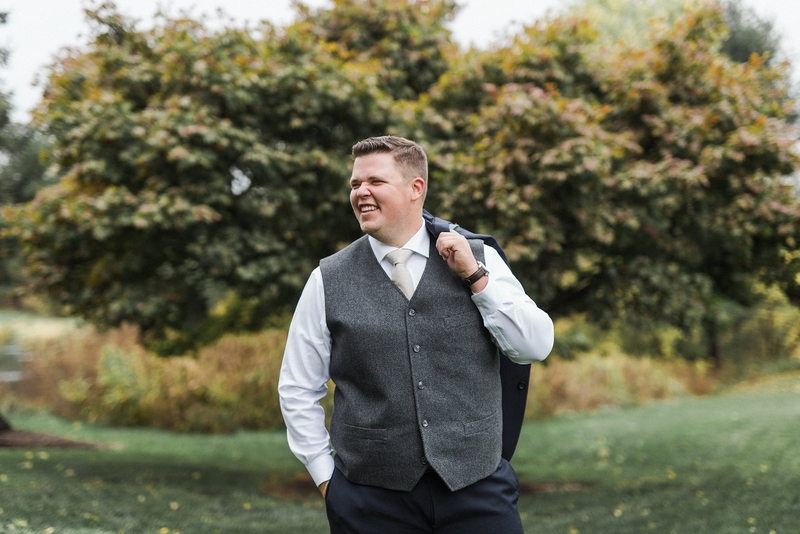 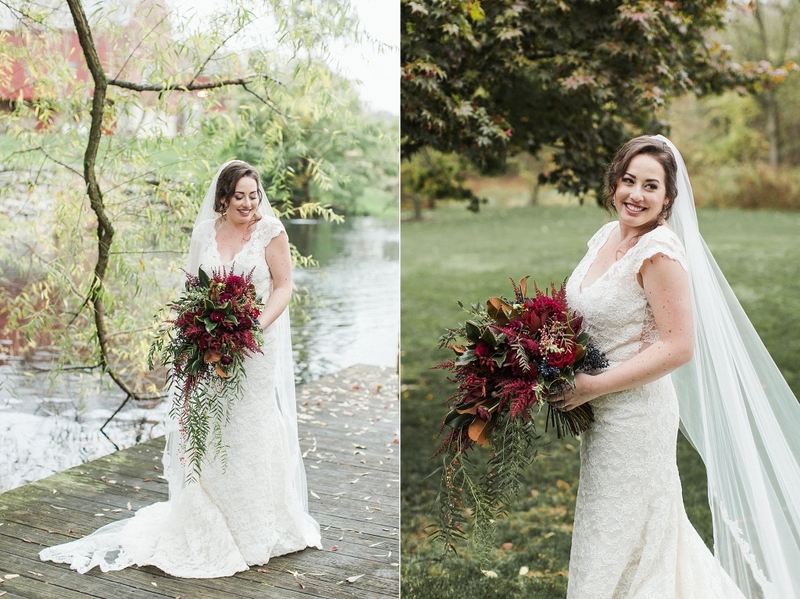 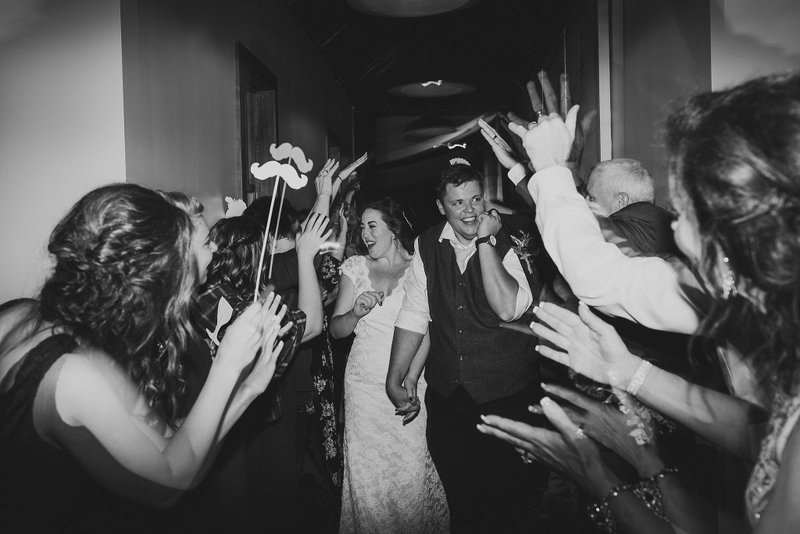 Emily and Bob held hands and walked through the beautiful fields surrounding the barn. 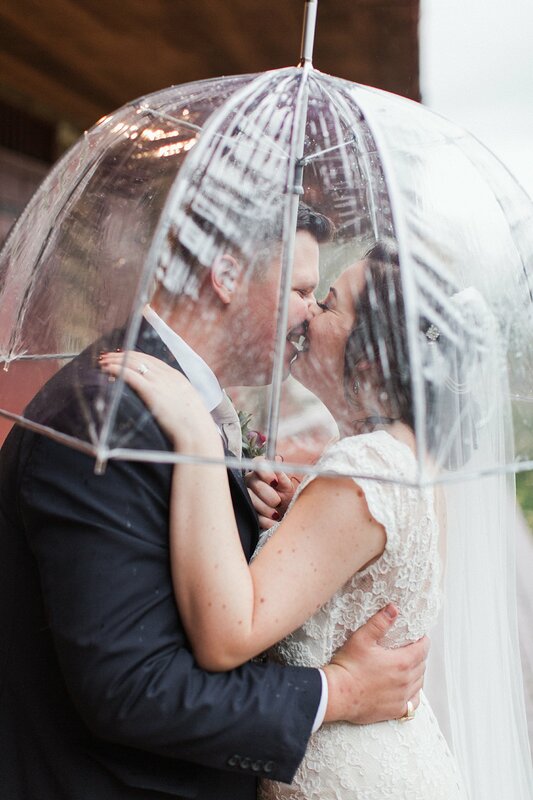 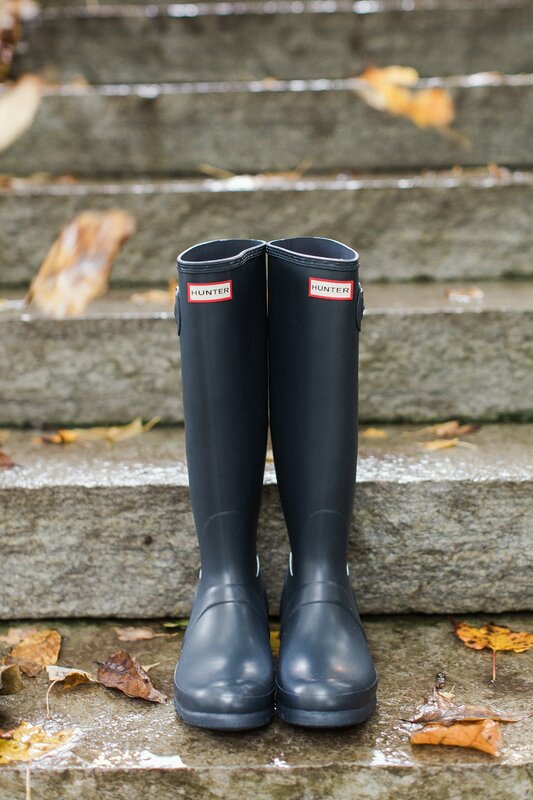 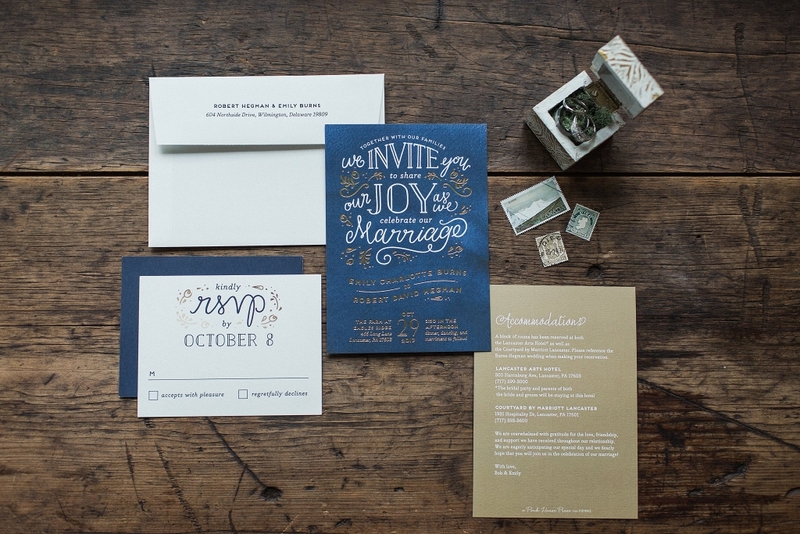 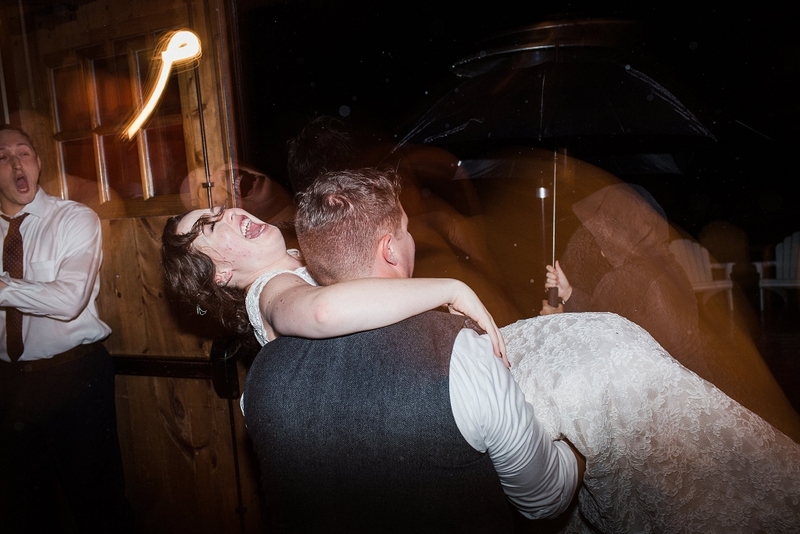 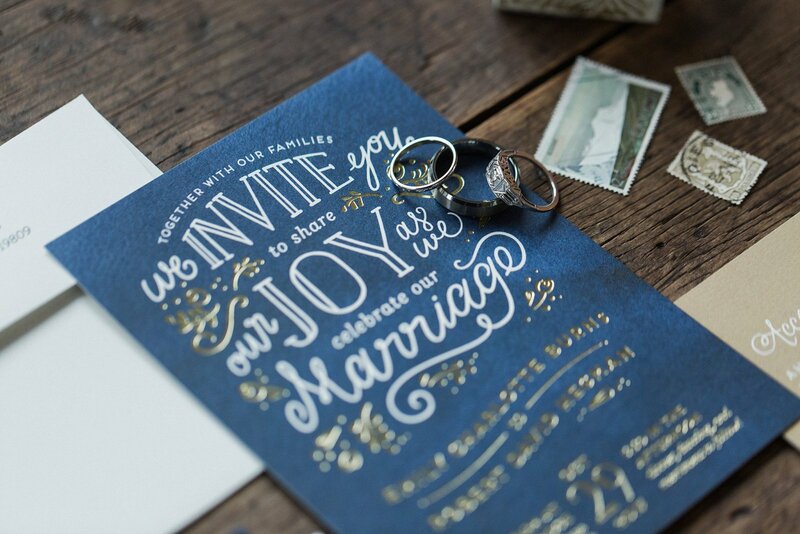 They giggled together as they giddily soaked in life as Mr. & Mrs.